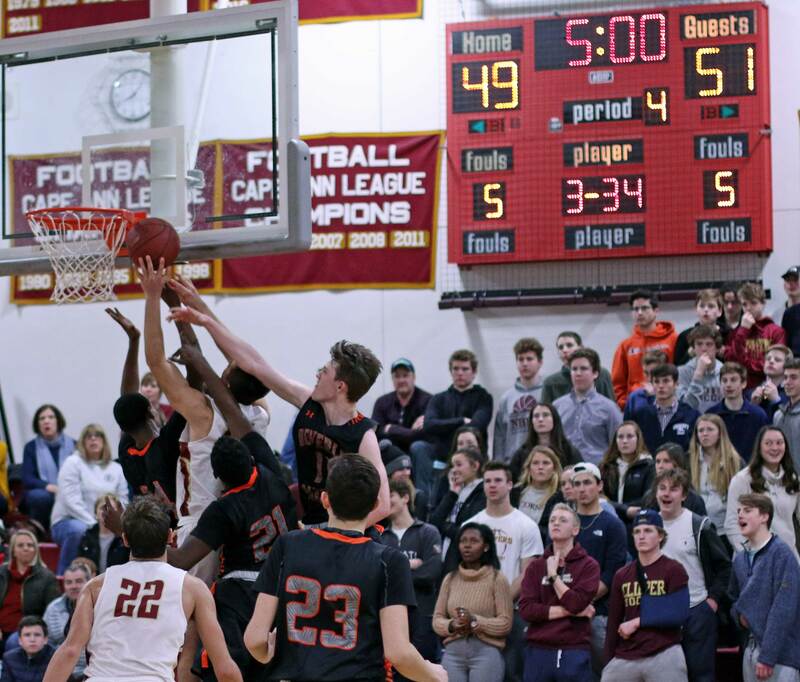 (Salem MA) This was anyone’s game until Beverly put fourteen unanswered points together in the second half and defeated Salem, 56-46, in Division 1 North first round action on Wednesday night. 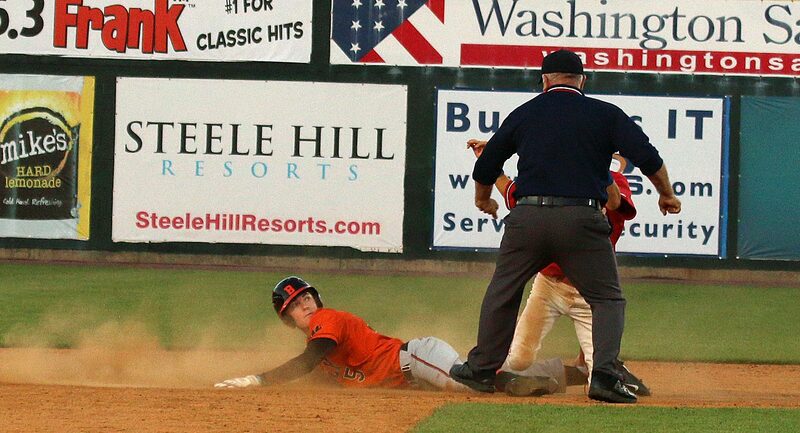 The Panthers (15-6) will play the winner of the Woburn/Arlington game. 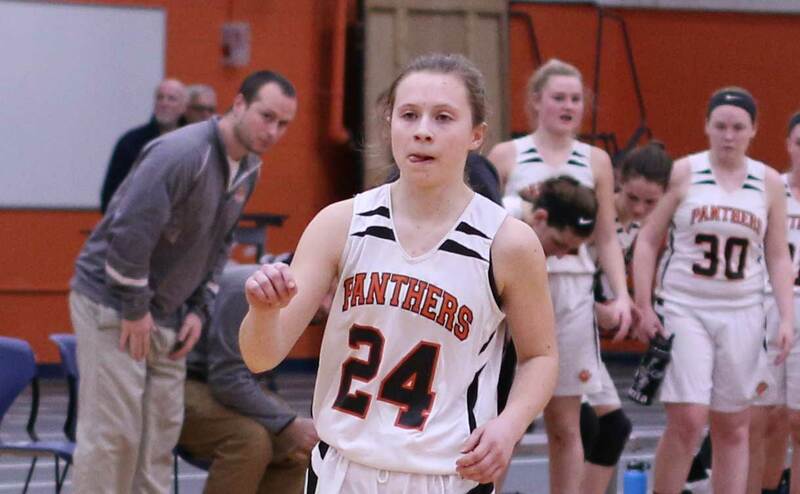 Ashley Augulewicz (16), Melissa Lubas (15), and Natalie Mellinger (15) all had double figures for the Panthers. 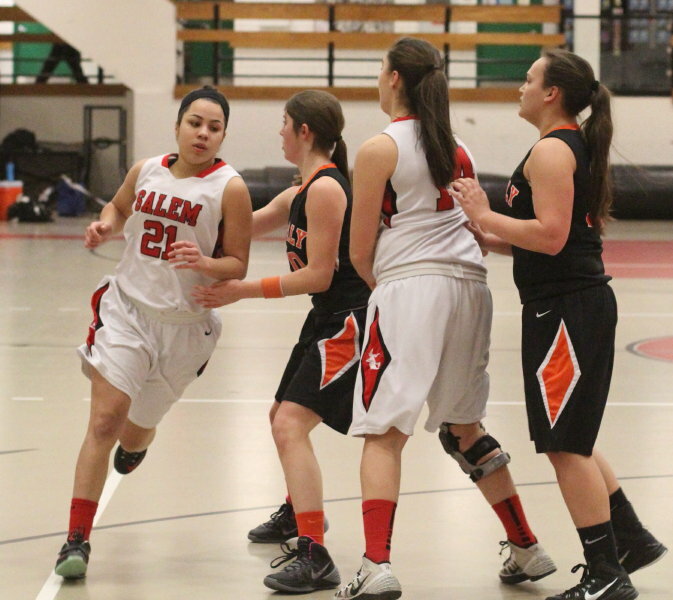 Brianna Rodriguez (15) and Jackie Panneton (12) paced Salem. 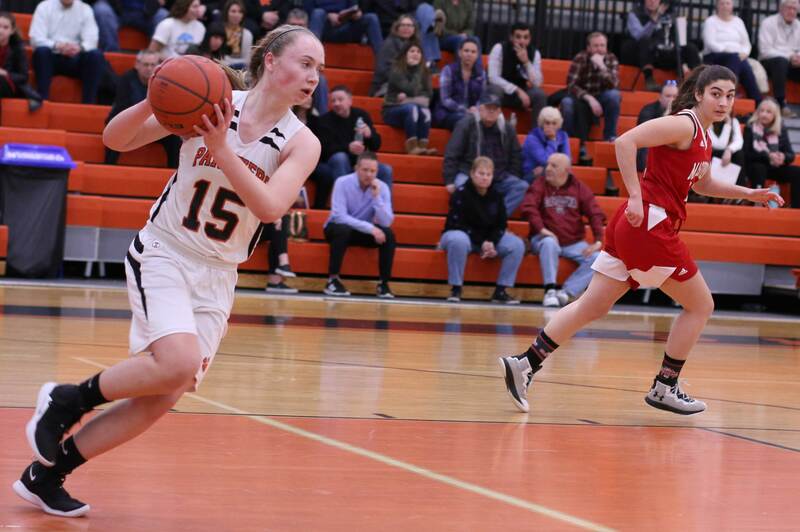 Beverly was intent on keeping the ball away from overpowering Jackie Panneton on the inside while Salem (14-7) wanted to heavily defend Beverly’s long-range shooters. Both succeeded. 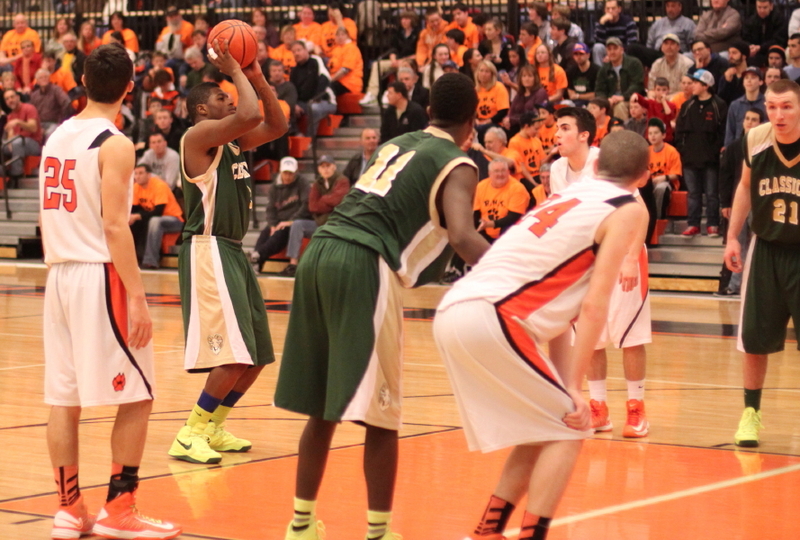 The difference was that Salem didn’t have the outside accuracy to compensate for the shutdown inside game. 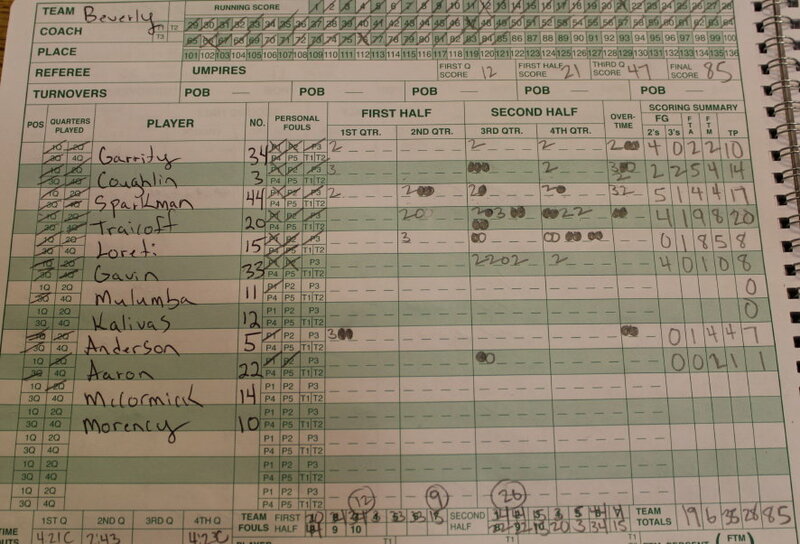 Beverly, on the other hand, shot fewer 3’s but took the ball to the basket for scores or fouls. 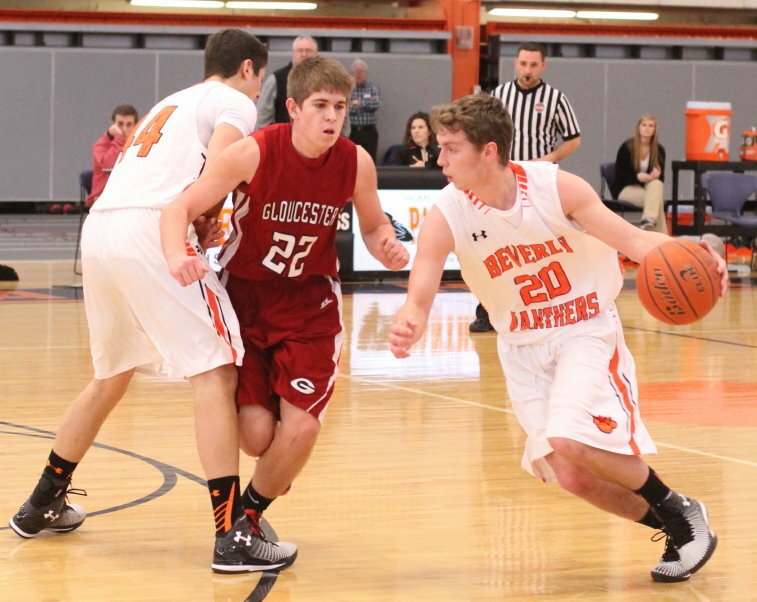 By attacking the basket the Panthers earned twenty-nine free throws. 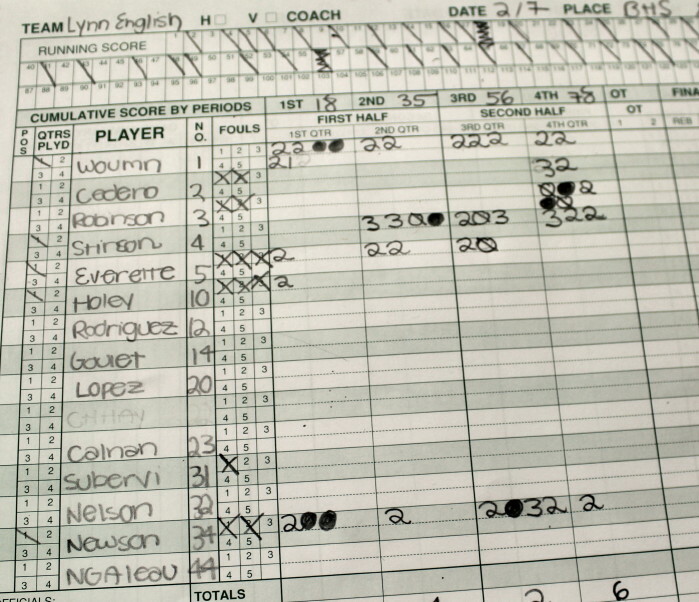 Fouls eliminated key Salem performers Rachel Zipper with over 5+ minutes left and Brianna Rodriguez with 1 ½ left. 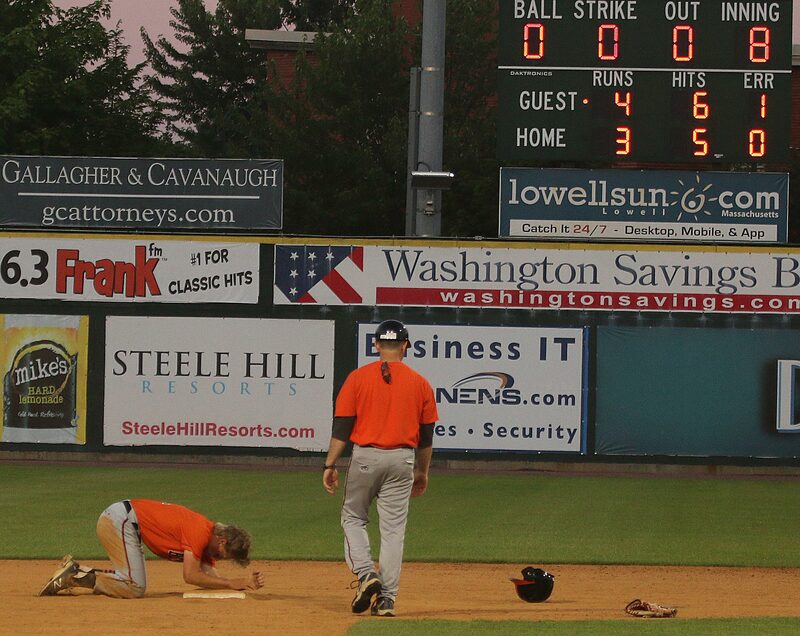 The two teams had split their two meetings during the regular season and tonight’s game ended up at Salem because they won a coin toss. 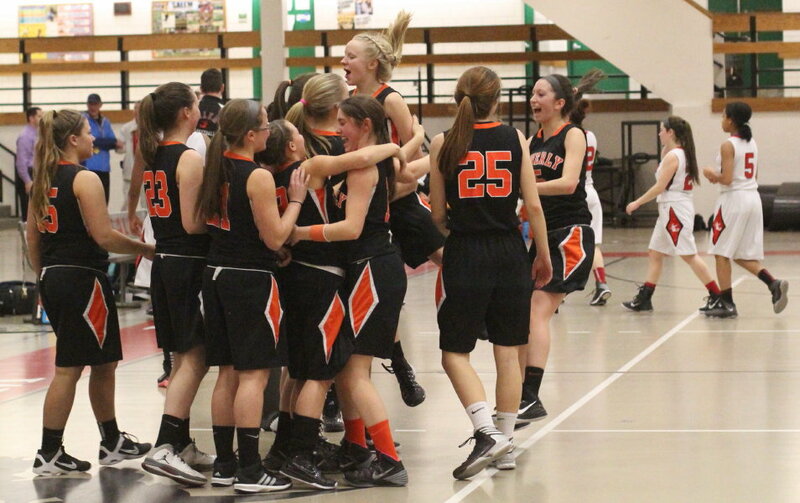 It figured to be a close game and with three minutes left in the third quarter that is exactly what it was, 32-32. 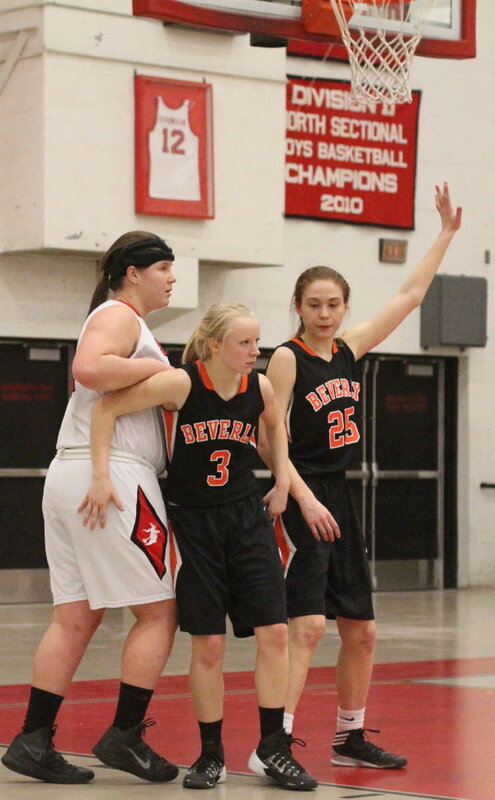 The next seven minutes of playing time, stretching into the 4th quarter, were all Beverly. 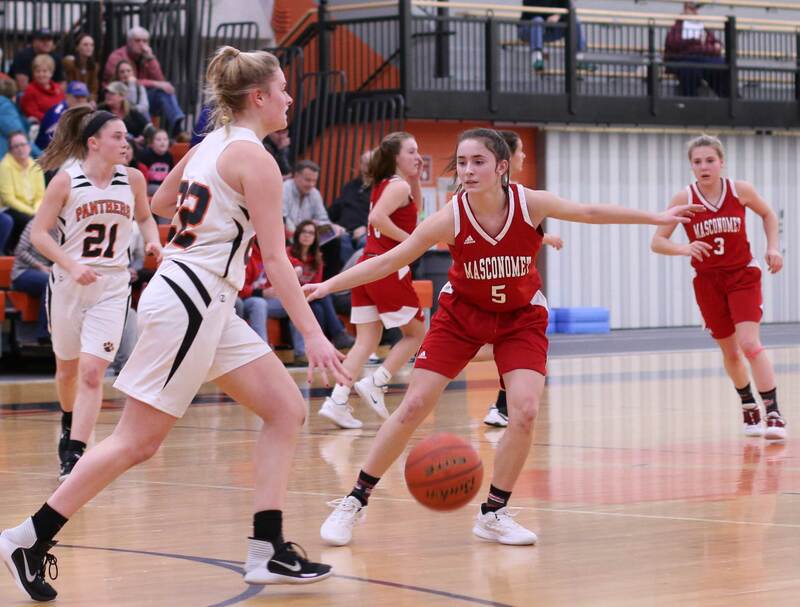 The visitors registered fourteen straight points and the Witches never recovered after trailing 46-32. 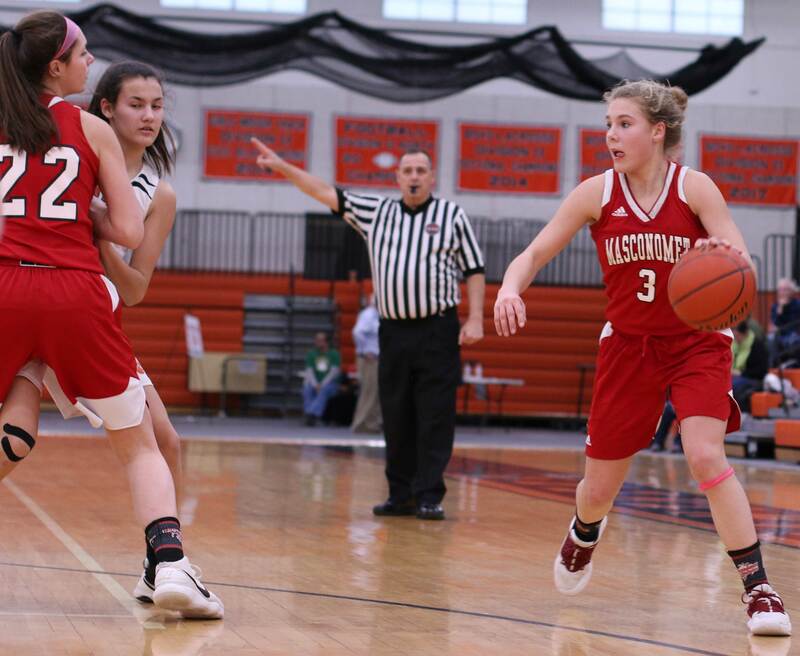 In the breakaway segment senior Ashley Augulewicz converted two rebounds and had a layup off a nice assist from teammate Jess Cross. 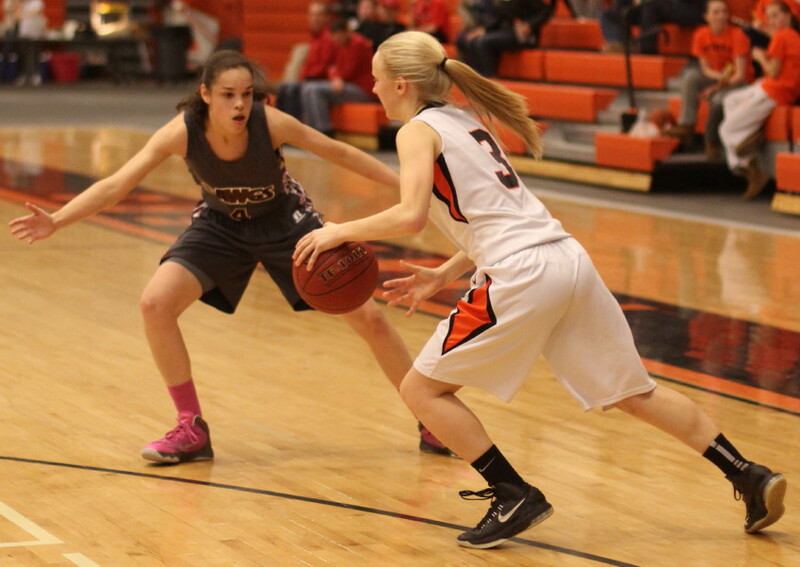 Sophomore Natalie Mellinger drained two three’s from in front of the Panthers’ cheering section. 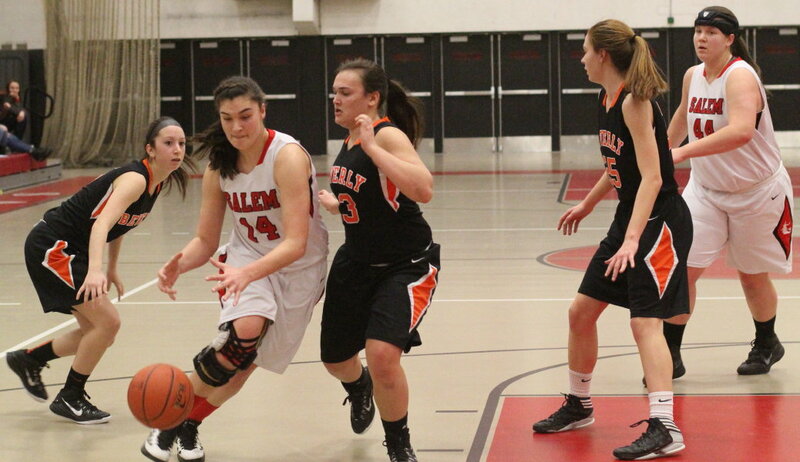 Junior Melissa Lubas added a drive-and-one that fouled Salem senior Rachel Zipper out of the game. The eventual final outcome seemed unlikely to those of us on hand for the first quarter. 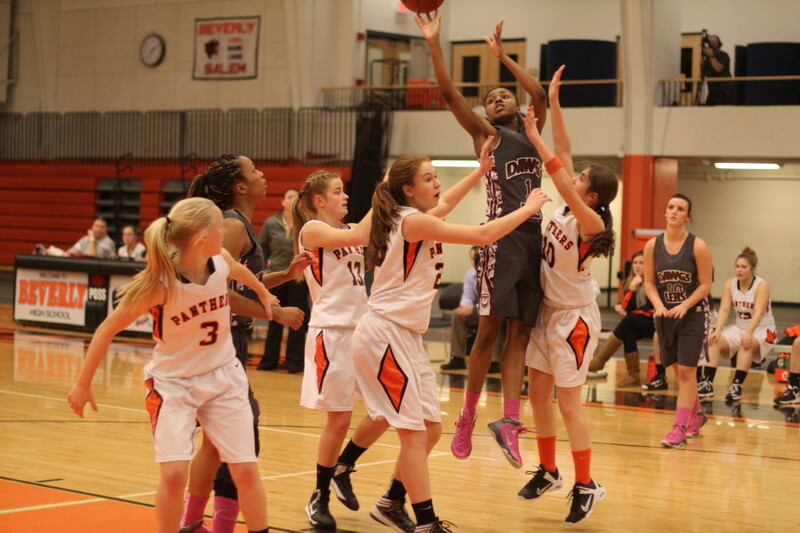 Beverly was determined to launch long ones and Salem’s defense wouldn’t allow it. 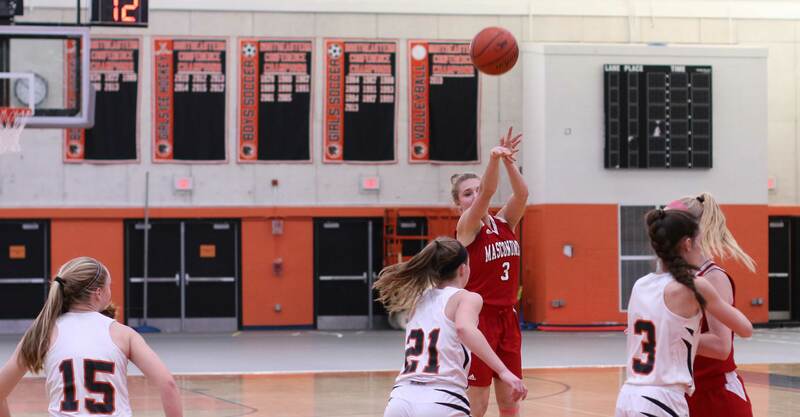 Meanwhile it was Salem making 3’s (two by Rachel Zipper in the first quarter) and getting the ball inside on occasion to Jackie Panneton (4 points). 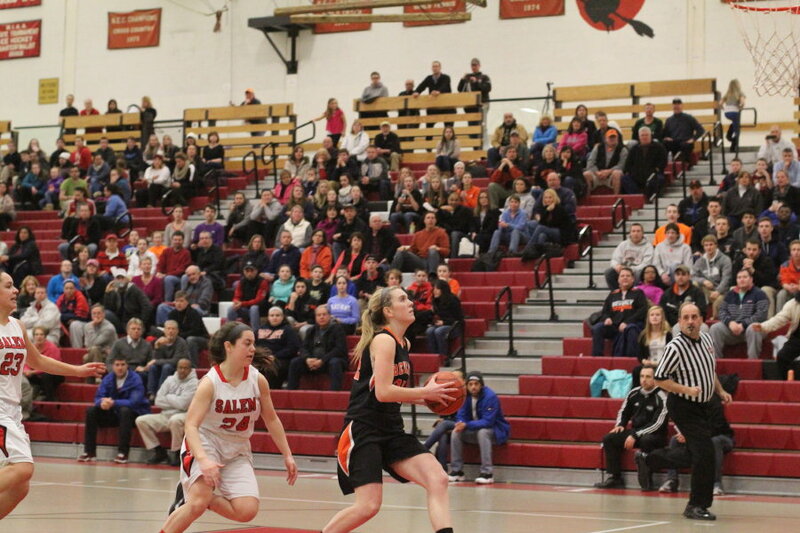 Salem led 14-6 after a quarter. 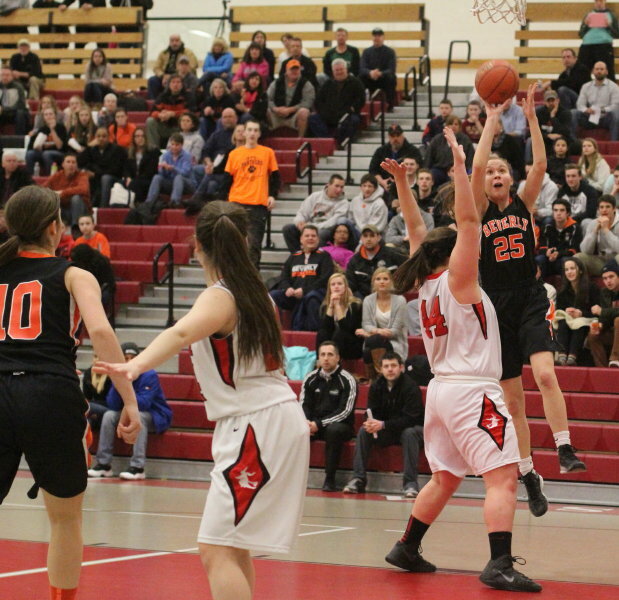 Beverly started the second quarter with ten straight (six points by Natalie Mellinger) and got the lead but Salem answered with seven straight including a three by junior Nicole Sadoway to retake the lead. 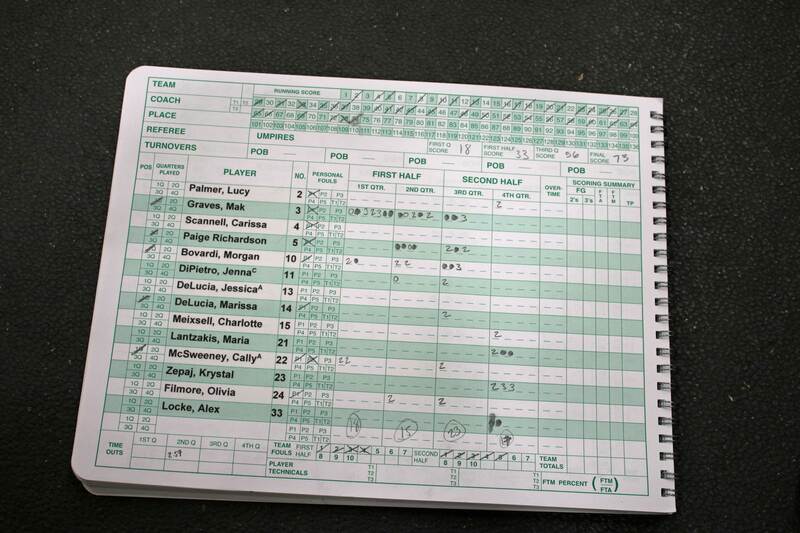 Salem was in front 23-21 at the half. 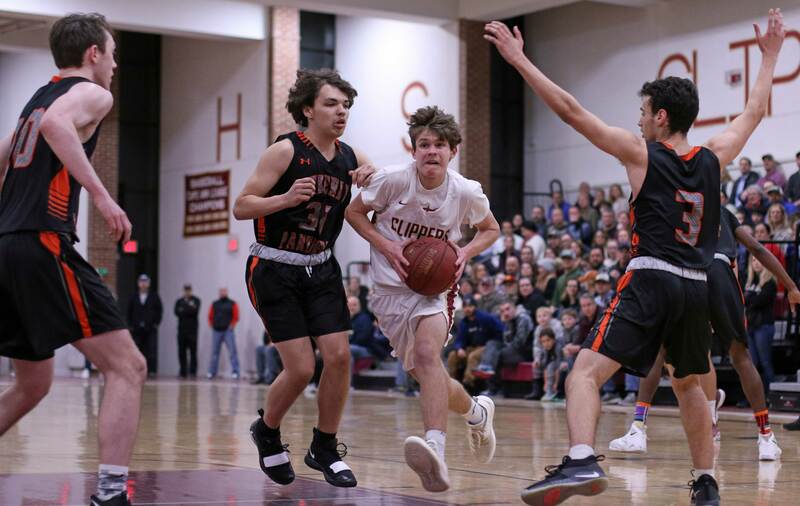 In the third quarter the teams worked themselves into a 32-32 tie before Salem suffered a disastrous drought and never recovered. 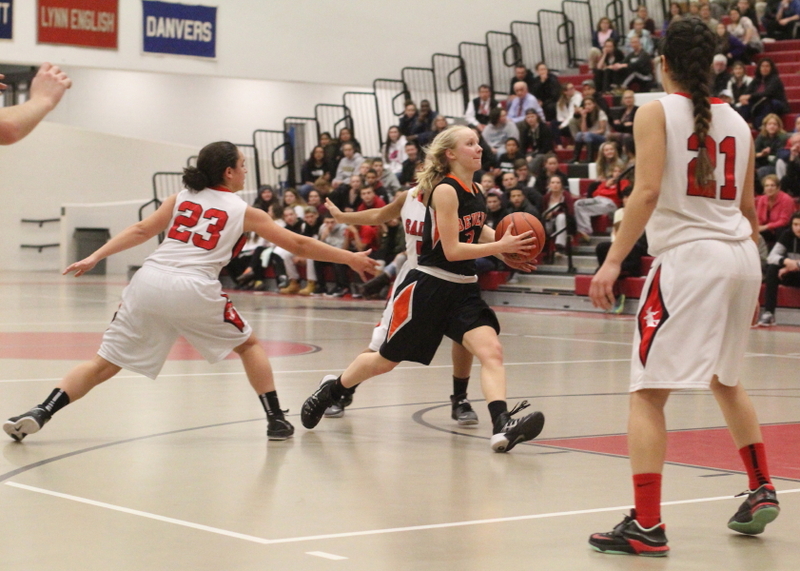 Brianna Rodriguez tallied ten points for the Witches in the final quarter but Beverly made eight-of-eleven free throws to carry off the win. 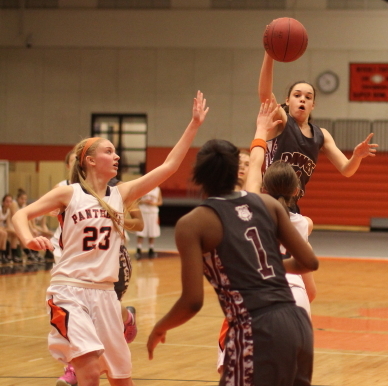 I was impressed with the play of junior Melissa Lubas of Beverly. 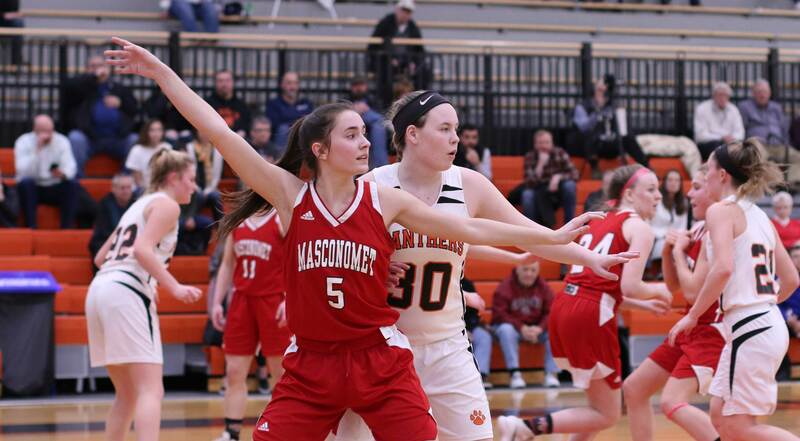 She had a few more turnovers in the front court than I would have liked in a point guard but everything else was very good. 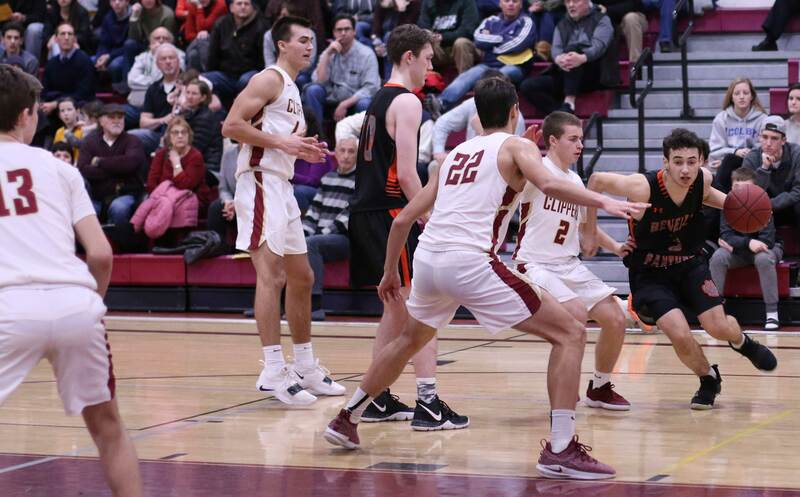 Head-up dribbling, long-range passing, rebounding, and 9-for-10 free throw shooting are a nice collection of positives. 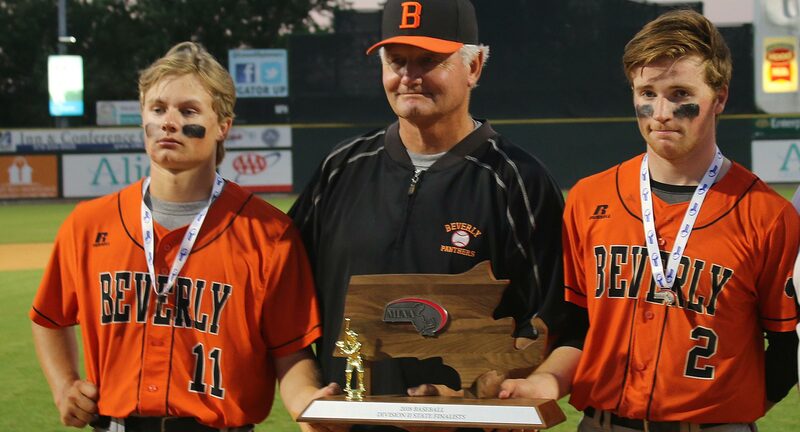 Beverly had lost three of their last four. 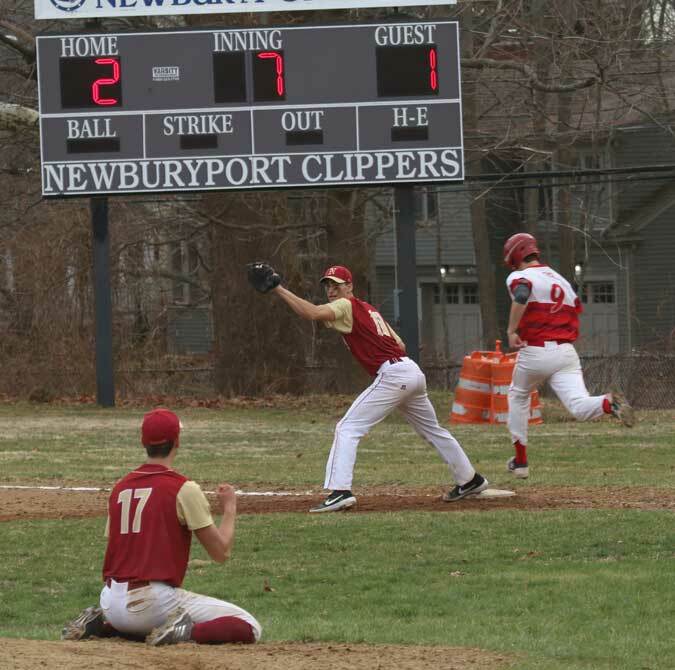 They do have wins over the division leaders (Revere and Winthrop) in the Northeast Conference. 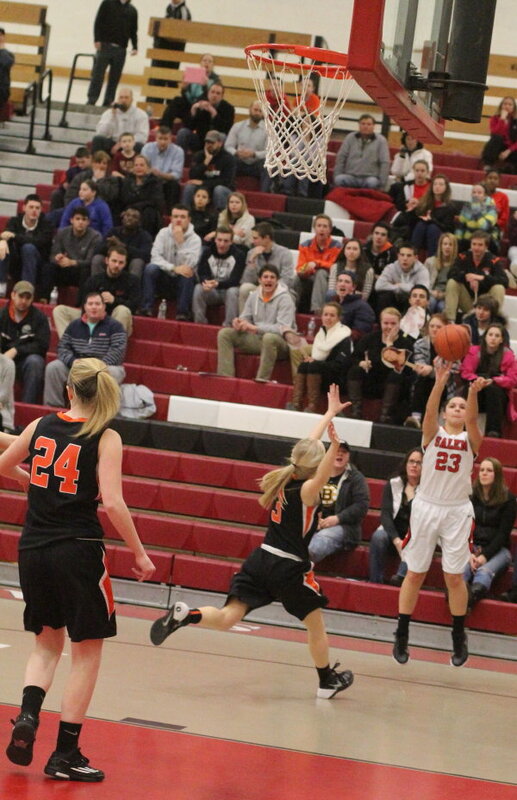 Beverly coach Allison Flynn played her high school basketball for Salem. 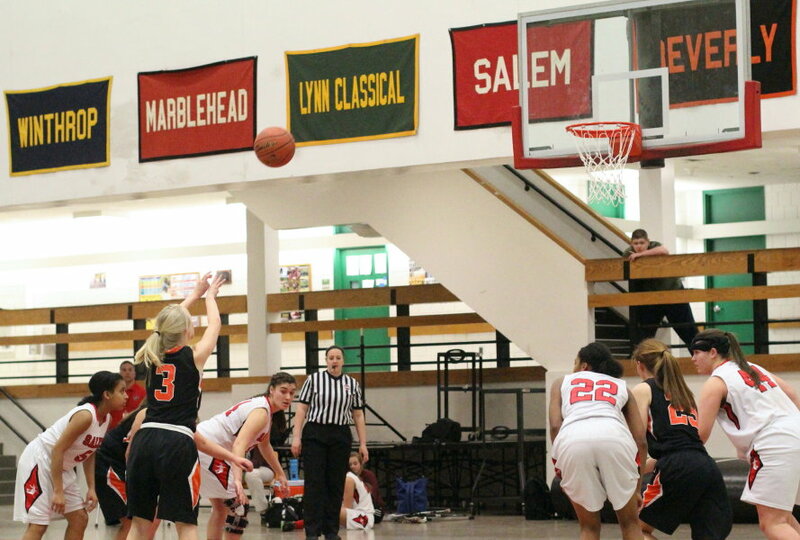 Jackie Panneton scored her 1000th point in Salem’s last game of the season. 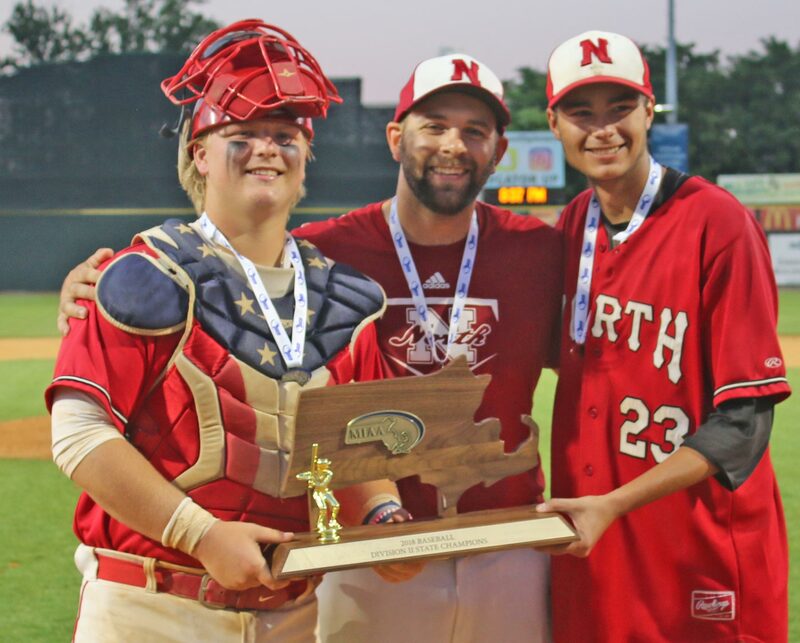 (Beverly MA) That’s seventeen straight for undefeated Lynn English. 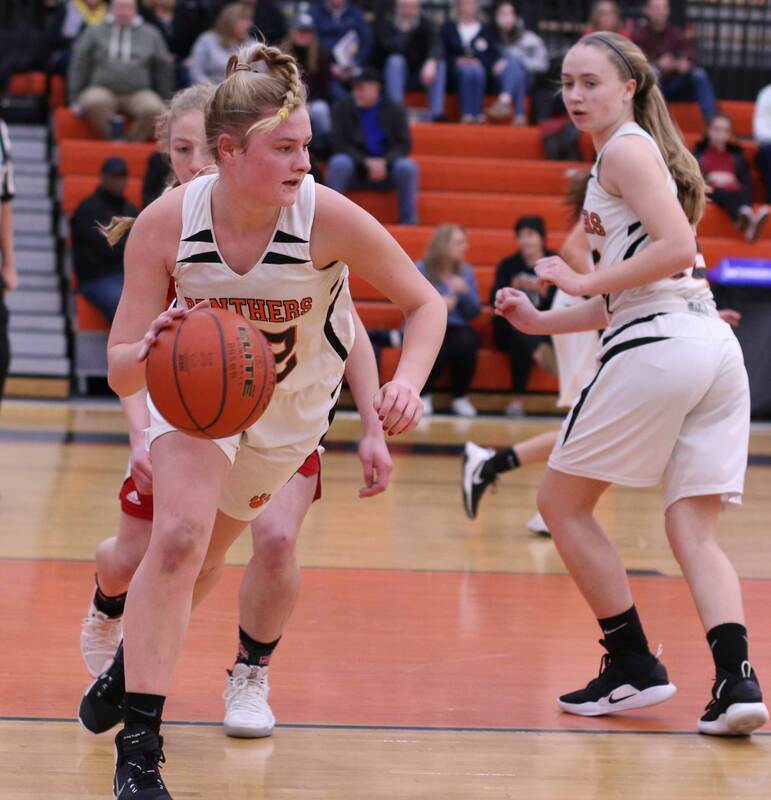 The Bulldogs (17-0) displayed their never-ending offense as they ran away from Beverly, 78-46, on the road on Friday night in Northeast Conference action. 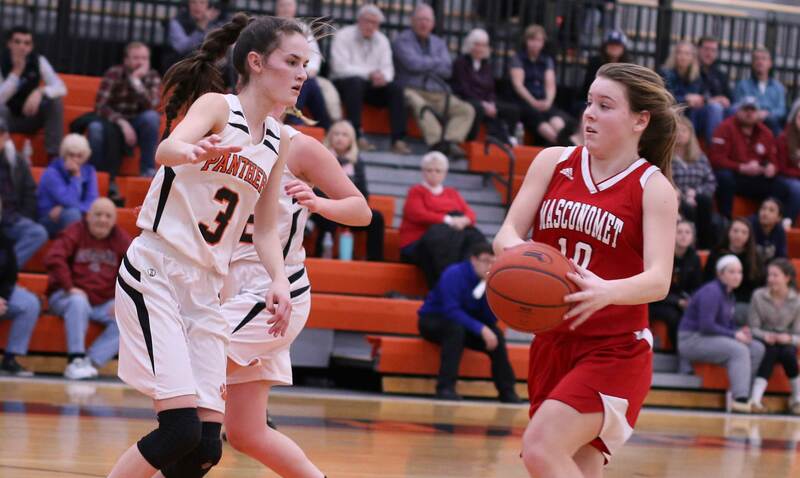 The Panthers (6-9) never could find a way to contain the LE scorers but they did manage to stay competitive through 2 1/2 quarters thanks to the long-range accuracy of Natalie Mellinger (17 points) and Bridget Keaton (12 points). 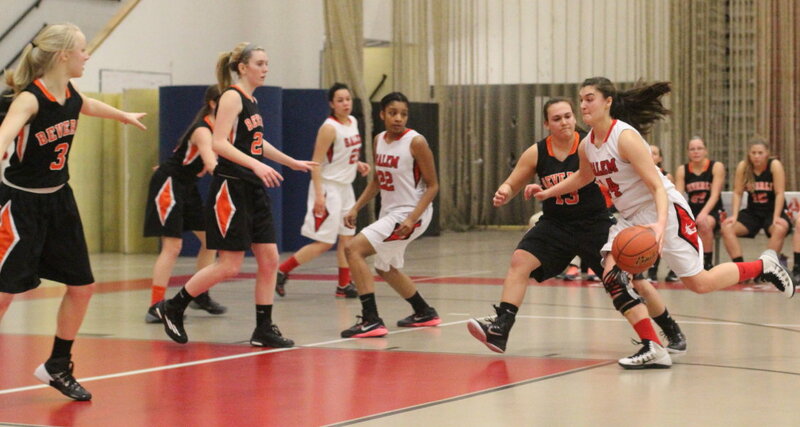 Natalie had three long ones in the first five minutes of the game and that helped Beverly hold a 15-8 advantage. 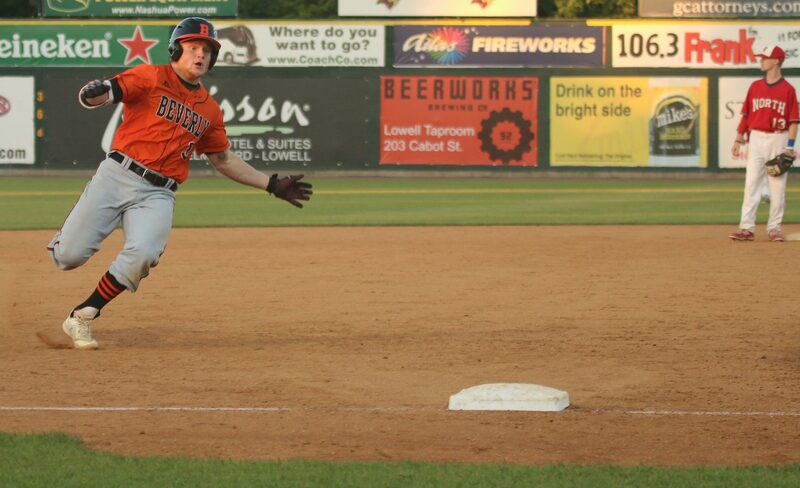 Lynn English, however, just never went away offensively. 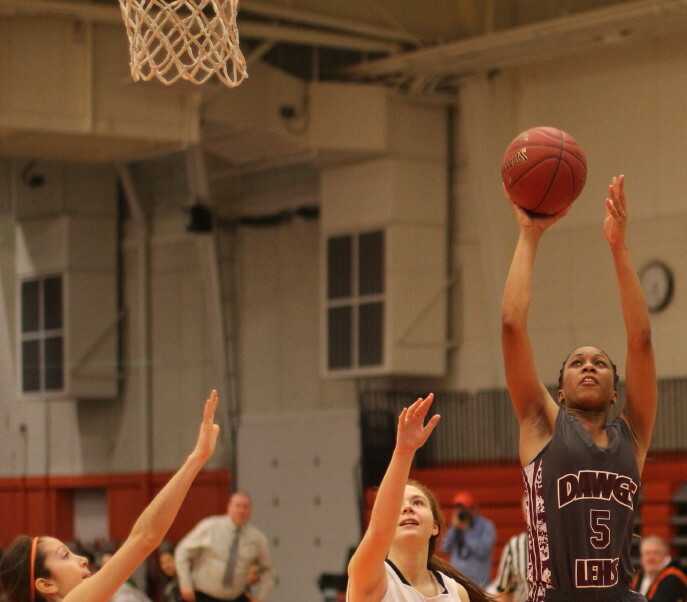 Diondra Woumn (22 points), Catherine Stinson (19 points), and Deidra Newson (16 points) had the speed and dribbling skills to find plenty of layups and open looks from the outside. 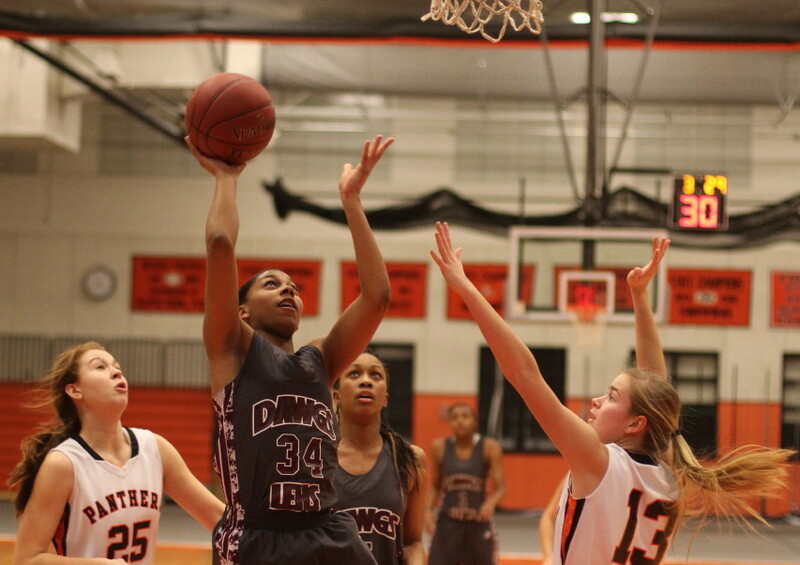 Two free throws by Deidra Newson gave LE an 18-17 lead after a quarter. 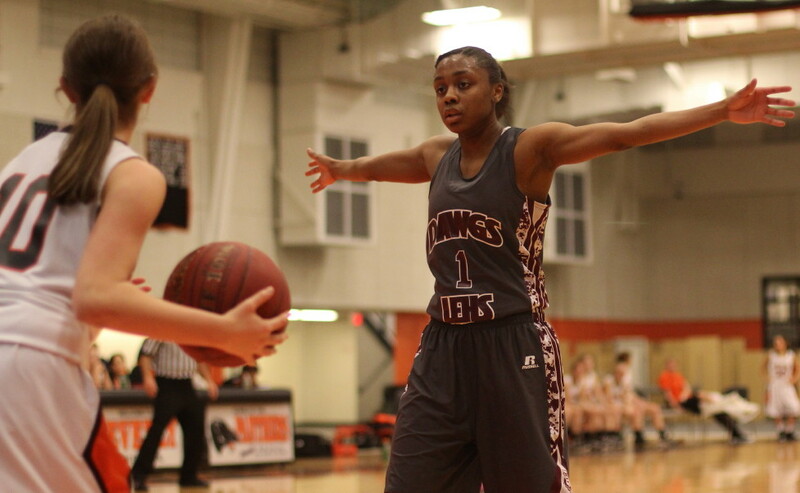 Diondra Woumn cashed four layups and two free throws in that quarter. 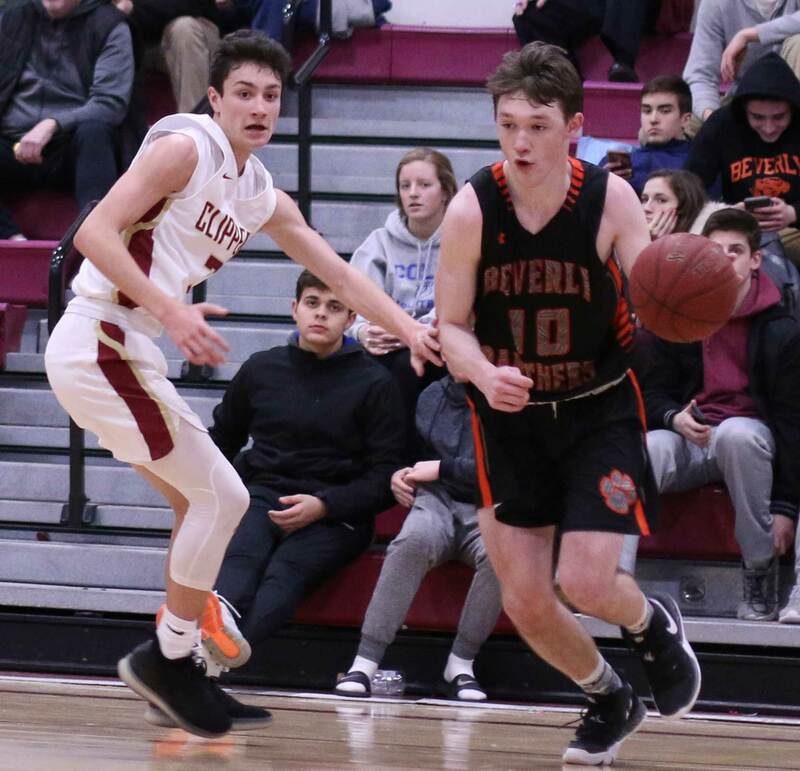 The Bulldogs pushed their lead to ten (30-20) in the second quarter but Beverly put seven unanswered points together and were within four (35-31) early in the third period. 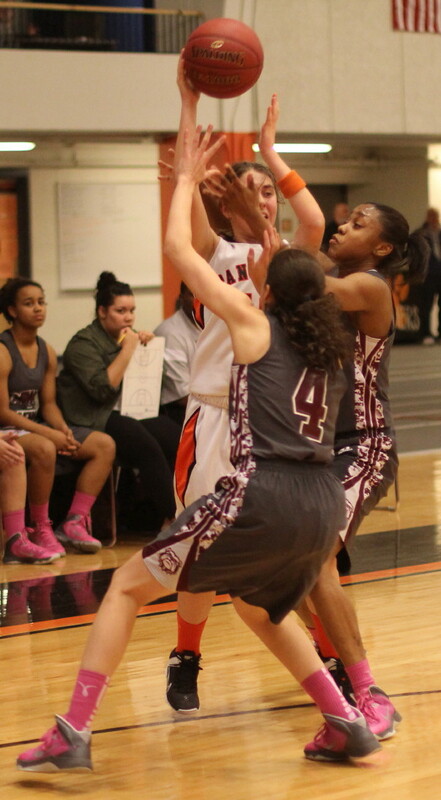 Four LE layups later the Bulldogs were in front 43-31 with three minutes left in the third quarter. 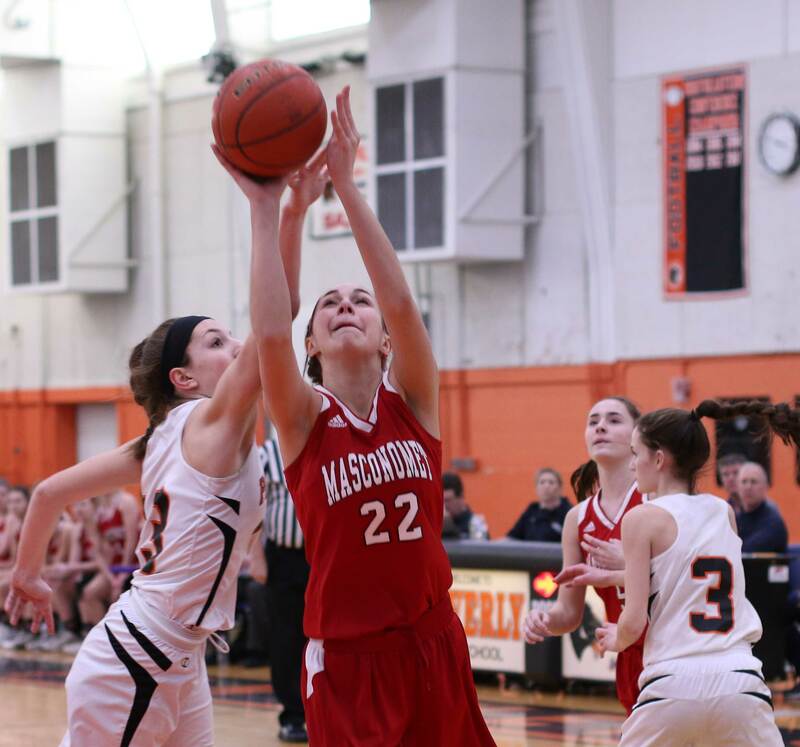 Beverly answered with two three’s (Bridget Keaton) and a Natalie Mellinger jump shot and only trailed, 46-39, with a 1 1/2 quarters left. Those last twelve minutes were absolutely all Lynn English to say the least. 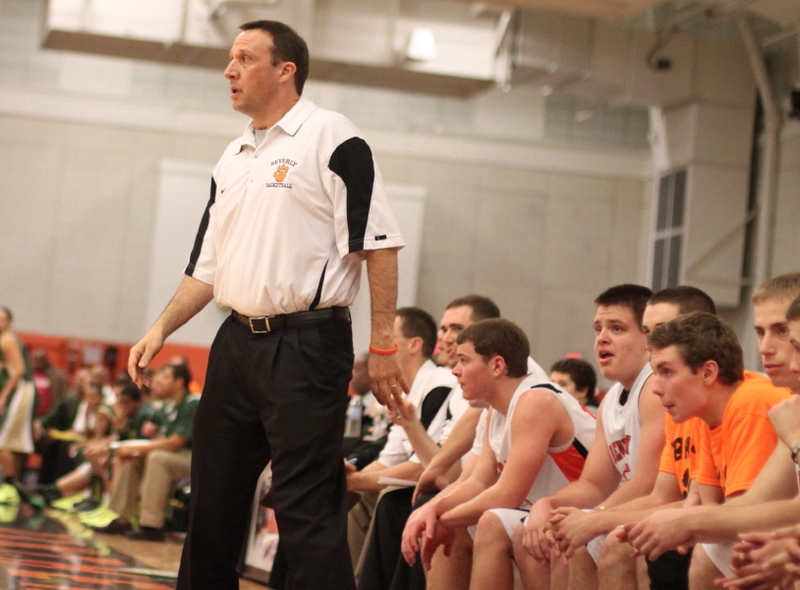 Fatigue had plenty to do with it as Beverly had played, and defeated, Lynn Classical on Thursday. 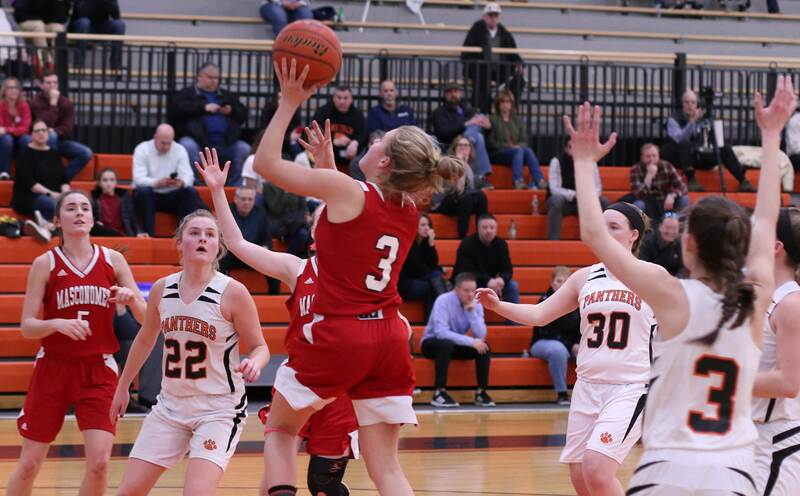 The Panthers began to have trouble even getting shots off while, down the other end, the Bulldogs continued to take and make shot after shot. 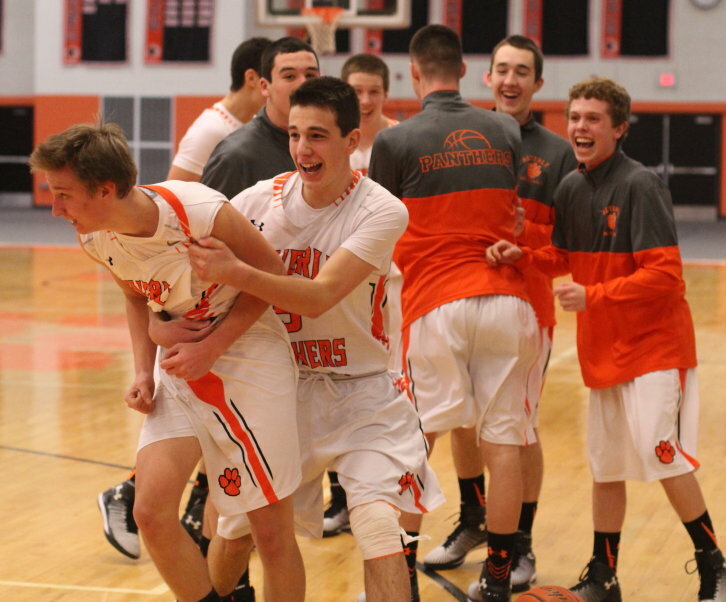 The rest of the way Beverly was outscored, 32-7! 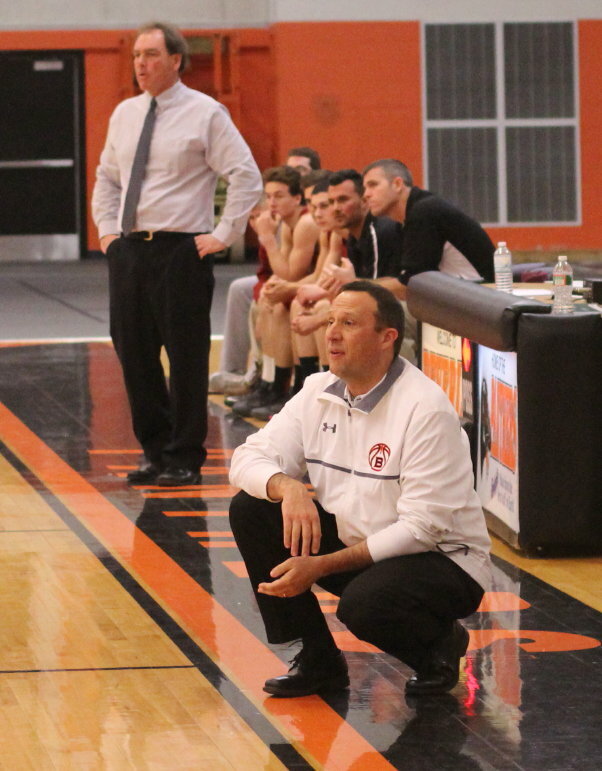 LE had unanswered runs of nine points and eleven points during the closing twelve minutes. 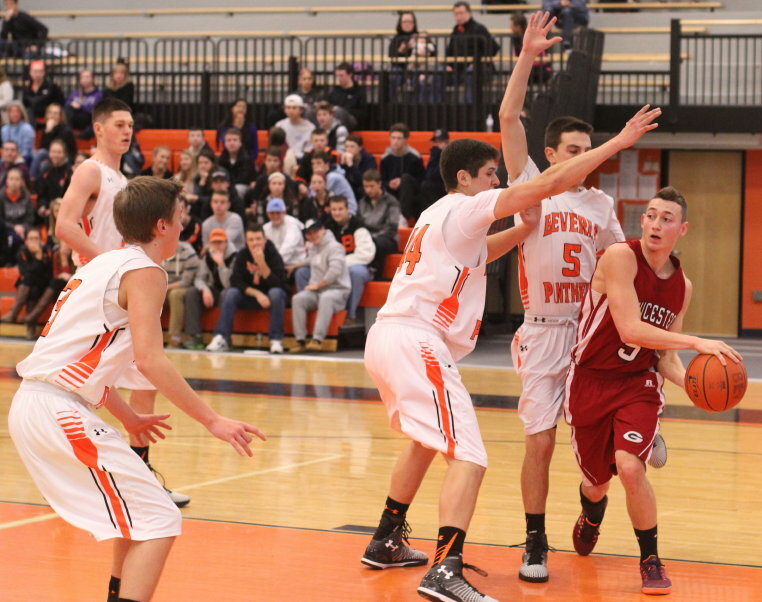 Beverly was held to just four points in the final quarter. 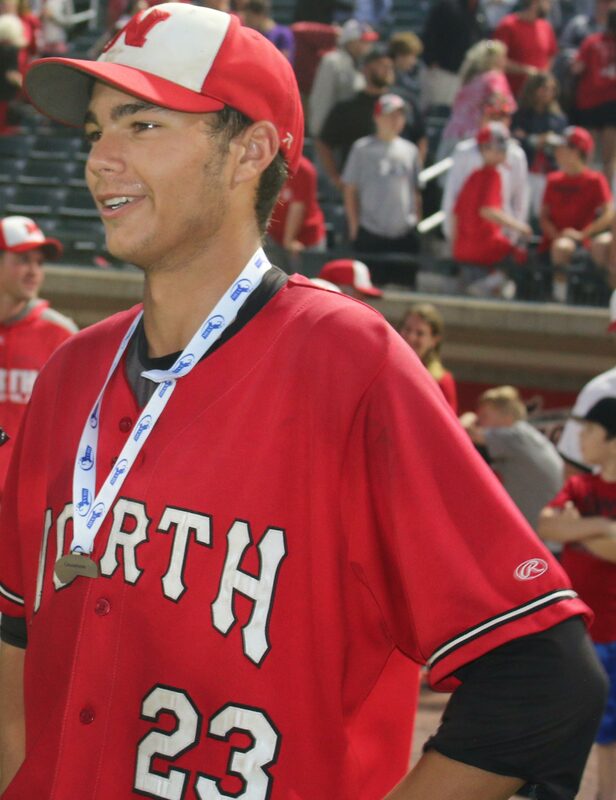 The individual skills of the LE players were impressive. They could dribble their way into good shots. They could move without the ball to get open. 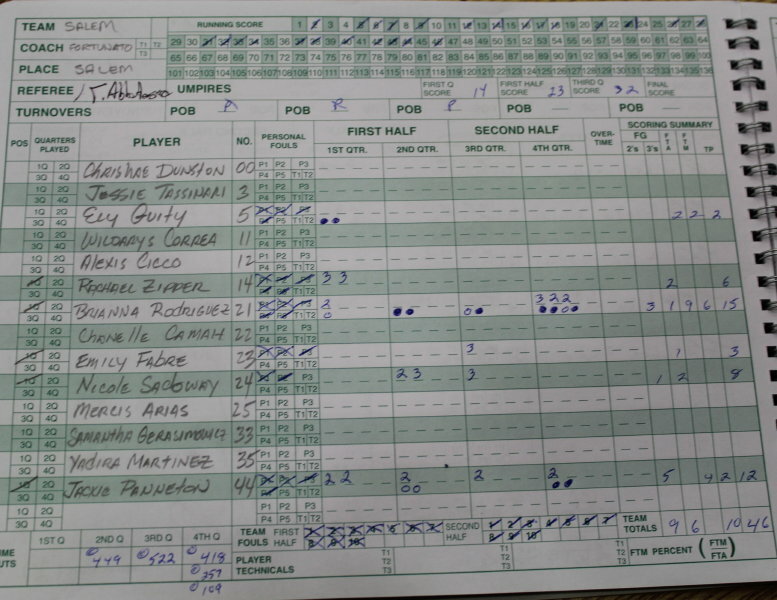 Then you add 1000-point scorer Catherine Stinson to the mix. 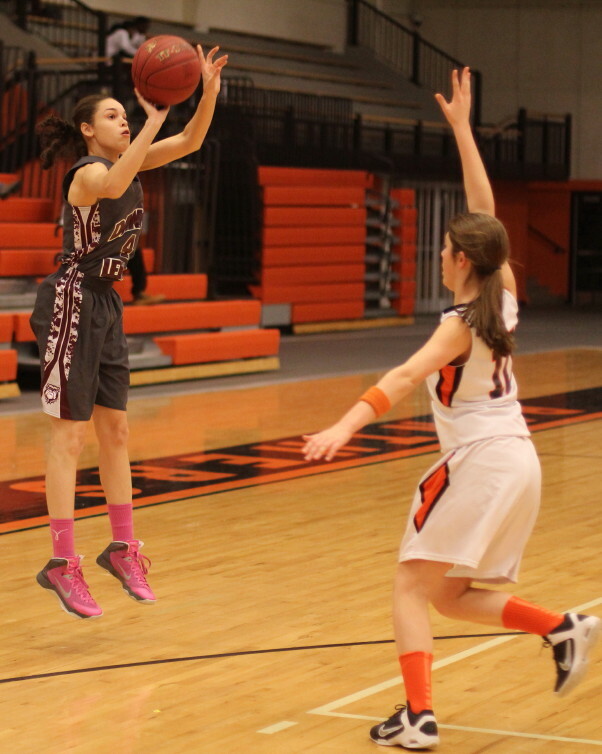 She had four 3’s and three layups. 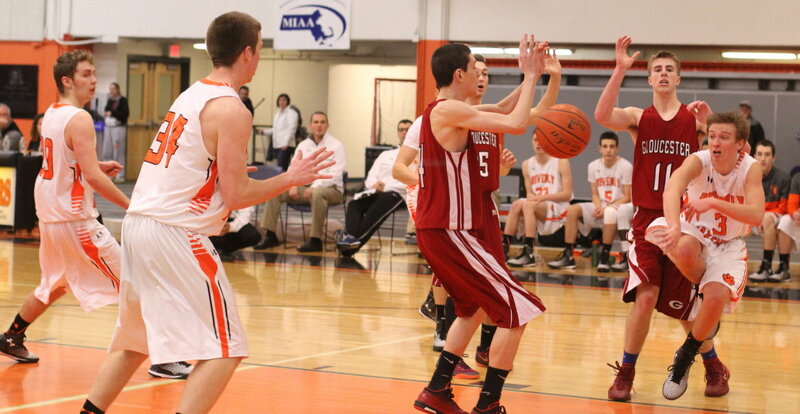 Lynn English has had only one close game this season and that was their 59-51 win over St. Mary’s on December 28th. 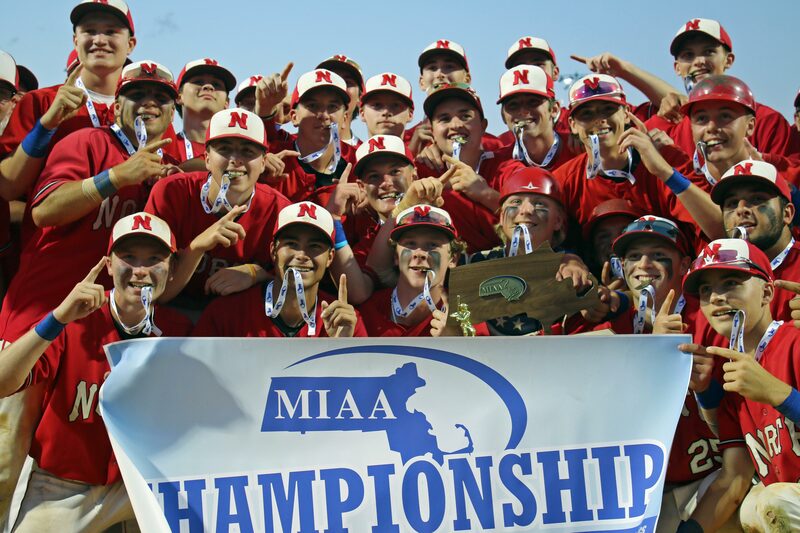 Last year the Bulldogs were upset in the Division 1 North quarterfinals by Andover. 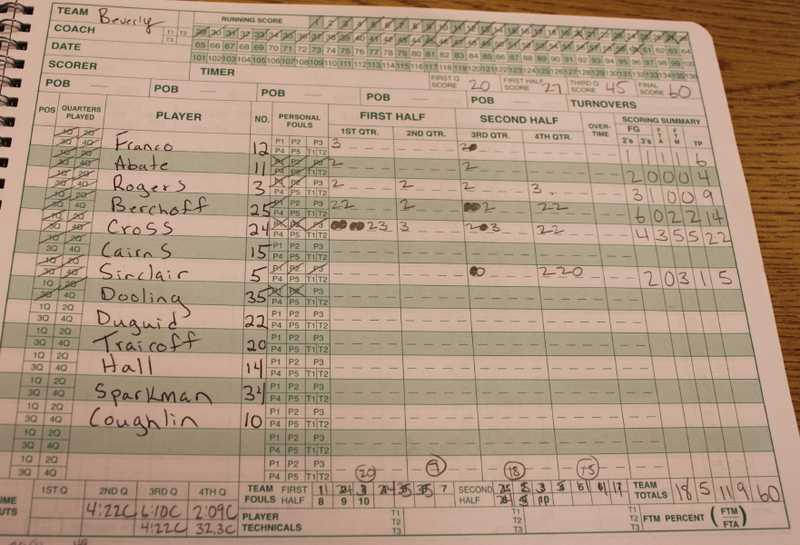 In that win, Andover made three’s and got several LE starters into foul trouble. 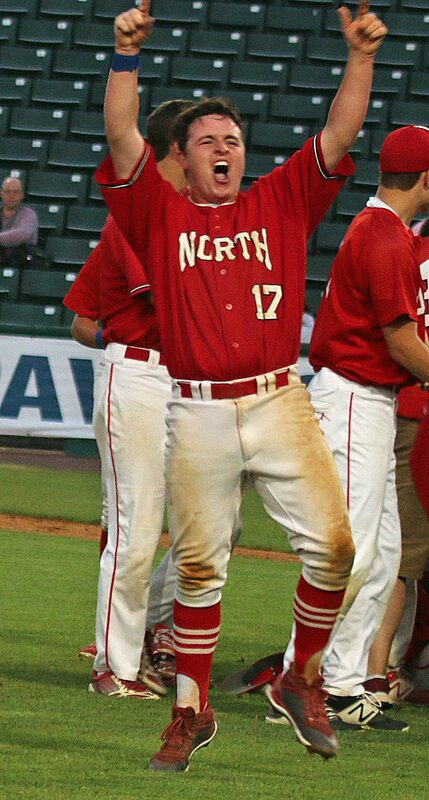 Lynn English is 59-6 over the past 2+ years. 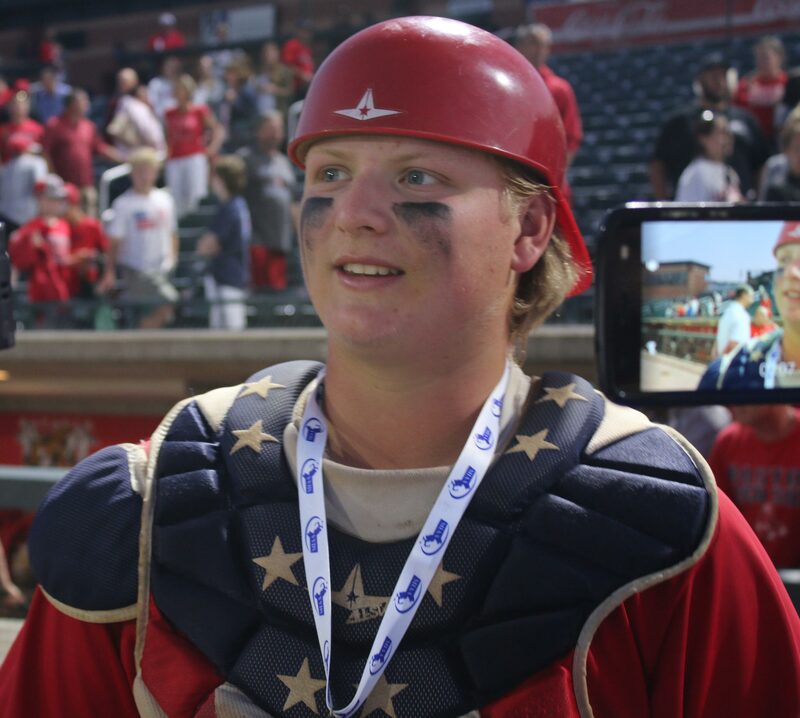 Another thing about Lynn English that caught my attention was their lack of emotion. 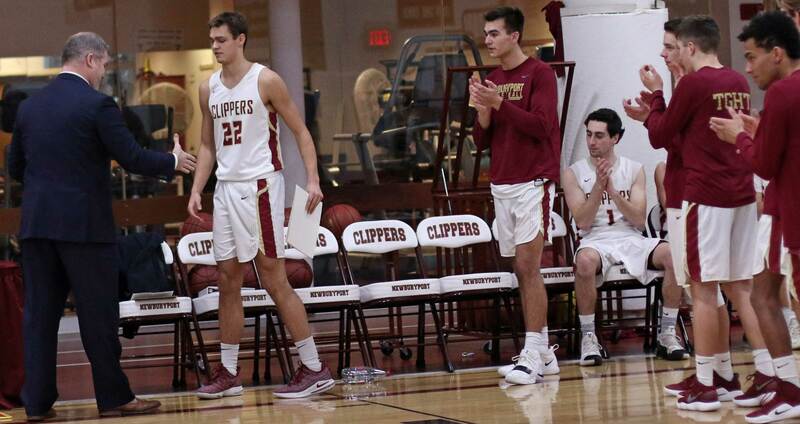 Nothing seemed to change about their demeanor whether they were behind early in this game or cruising to victory later on. 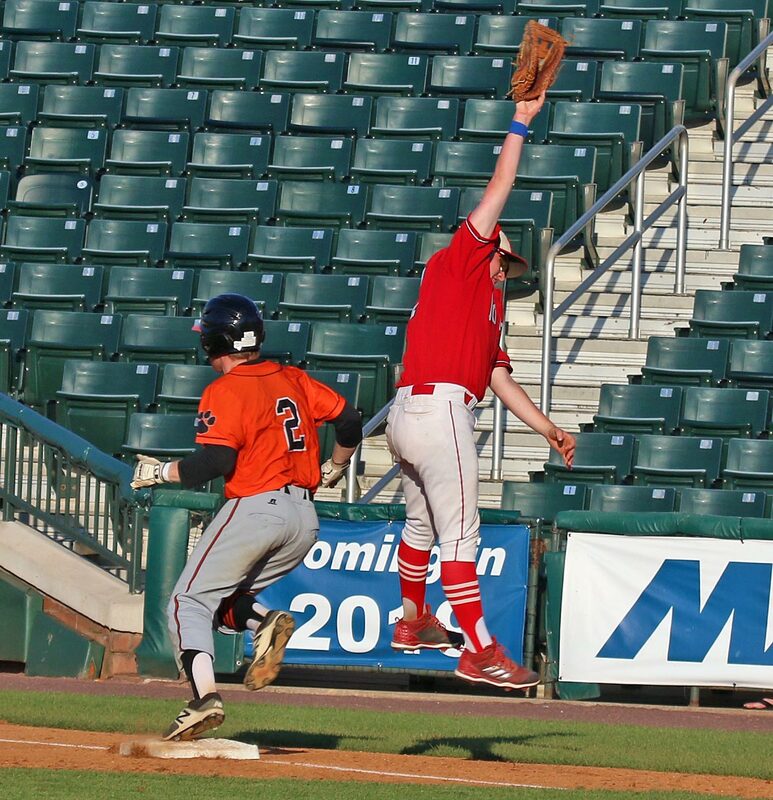 Very small crowd of spectators watched this game. At times it was so quiet that if you closed your eyes you might have thought you were in the Beverly Public Library. 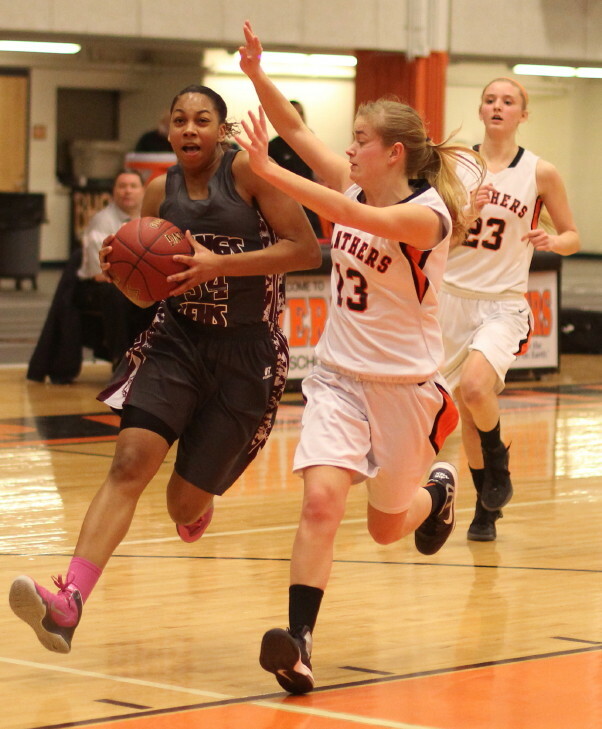 Makayla Everette (10 points) was the fourth Bulldog in double figures. 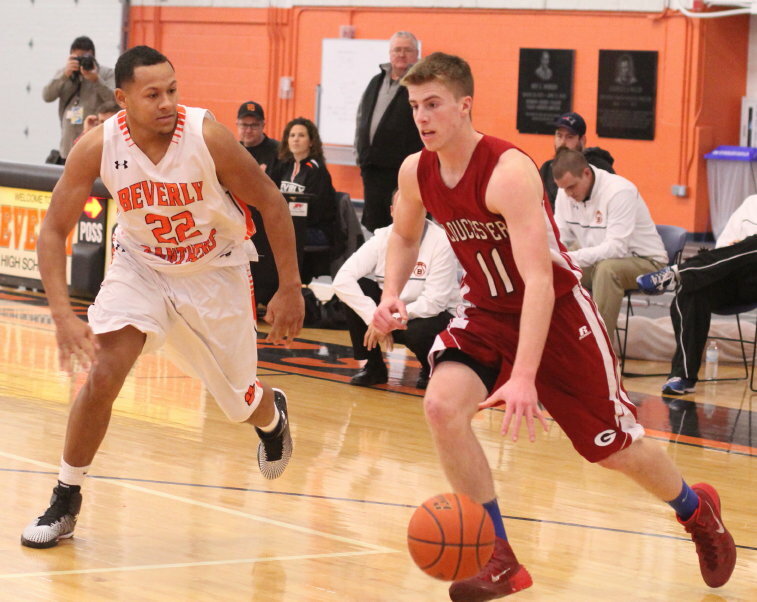 Beverly had twenty-two turnovers while Lynn English had fourteen by my unofficial count. 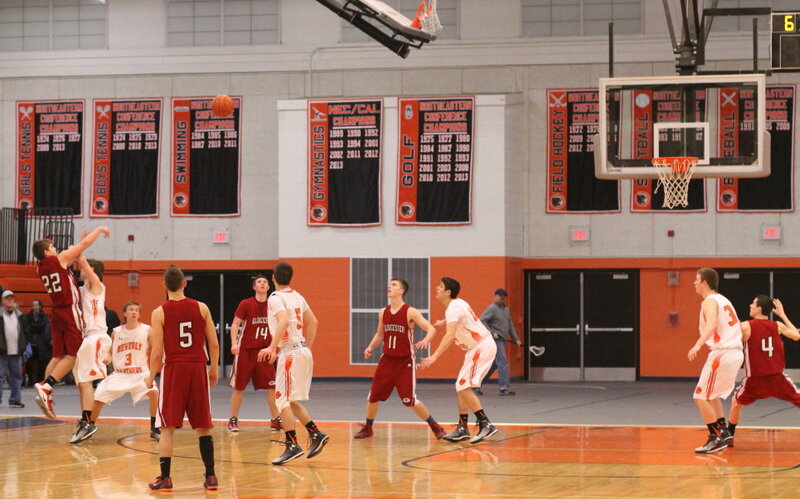 Last time I was in the Beverly Fieldhouse they had stands set up under each basket. 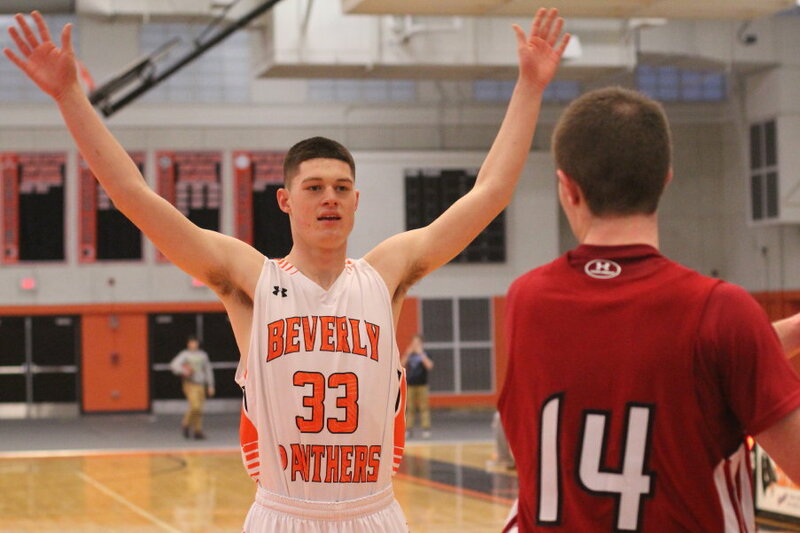 Beverly’s next game is at Revere on Tuesday (5:30PM). 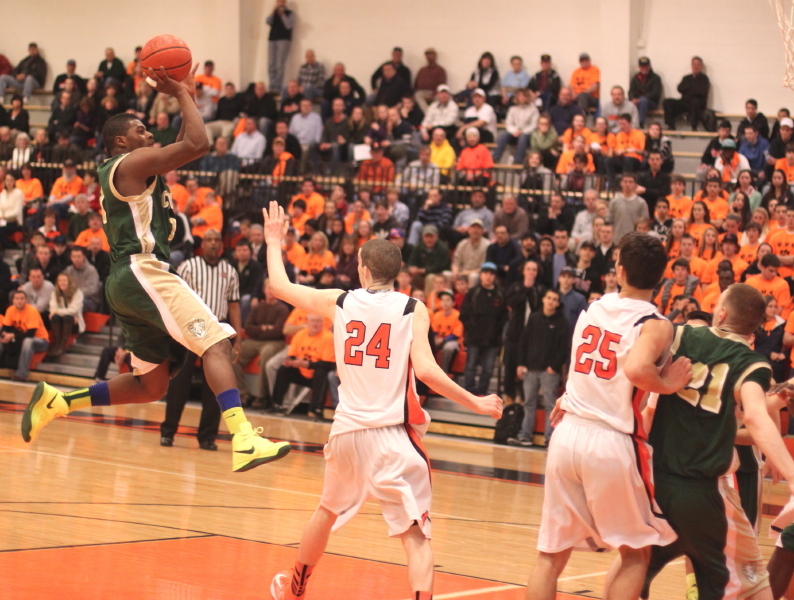 LE visits Lynn Classical on the same night. 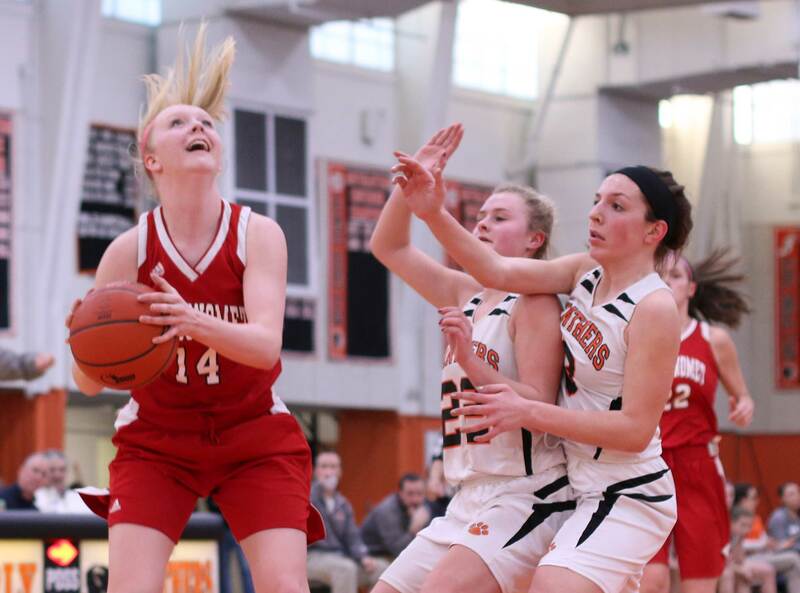 (Beverly) Lynn Classical was able to survive a frantic final thirty seconds and defeated Beverly, 66-60, in the First Round of Division 2 North on Tuesday night. 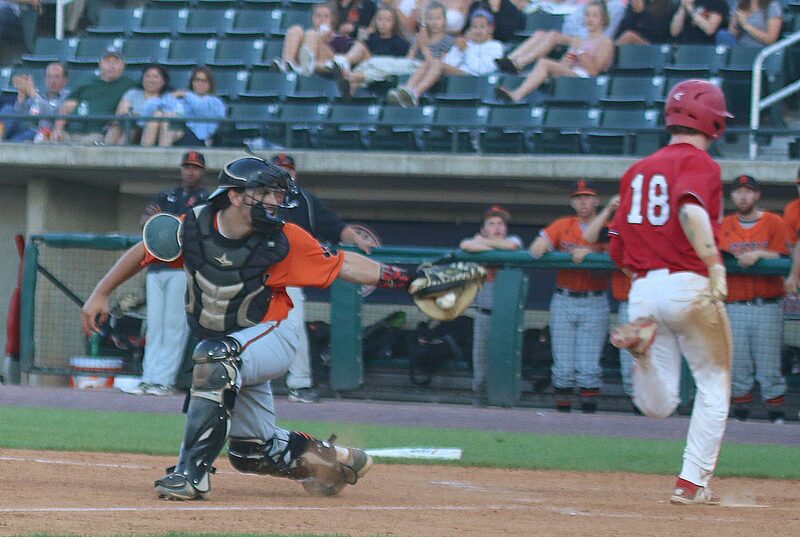 The Rams (15-8) move on to play Wakefield on Saturday. 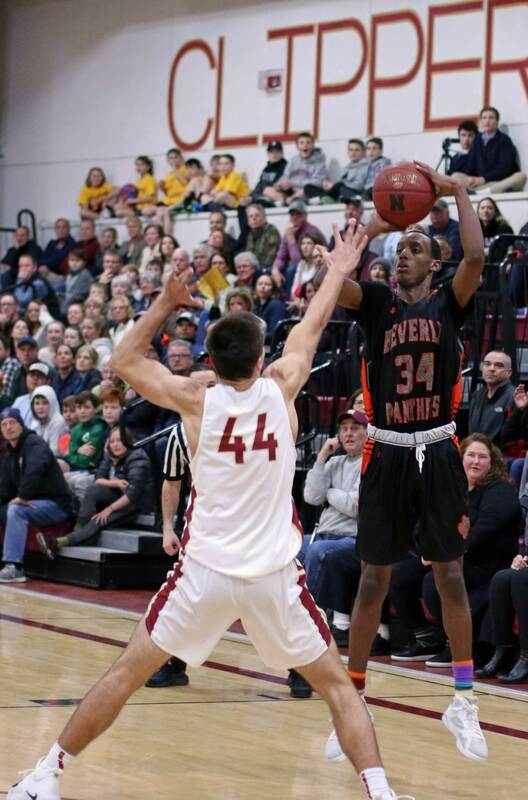 Beverly (14-7) was within two (62-60) after Cam Rogers nailed a three from straightaway with thirty-two seconds left but the Panthers squandered their next two possessions. 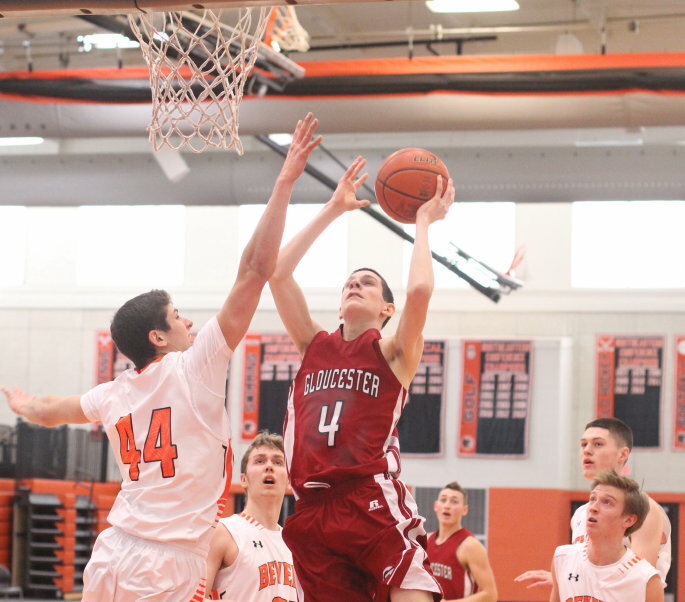 The first squander came after Jon Berchoff (14 points) stole the ball from Jalen Brown deep in the backcourt. 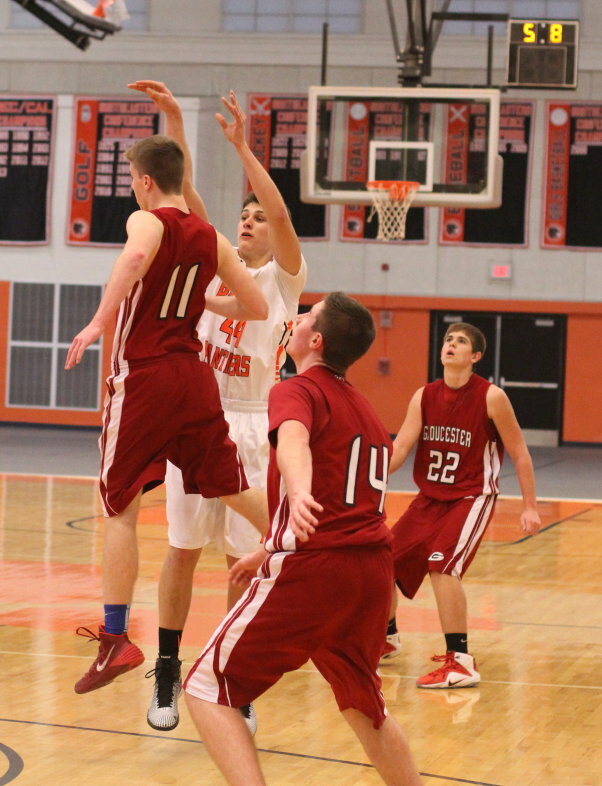 Instead of getting the game-tying layup Jon’s in-all-alone shot missed. 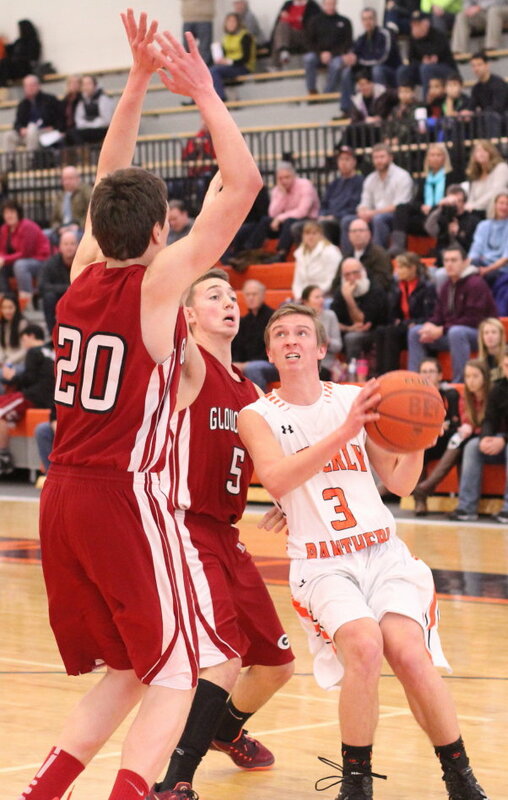 The Panthers quickly fouled Jordan Brown with twenty-two seconds left. 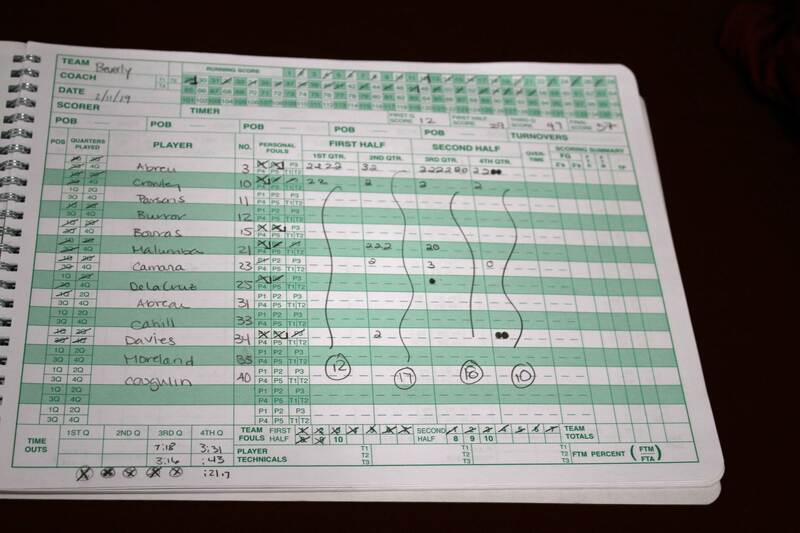 Jordan made the first to put LC ahead by three (63-60) but missed the second. 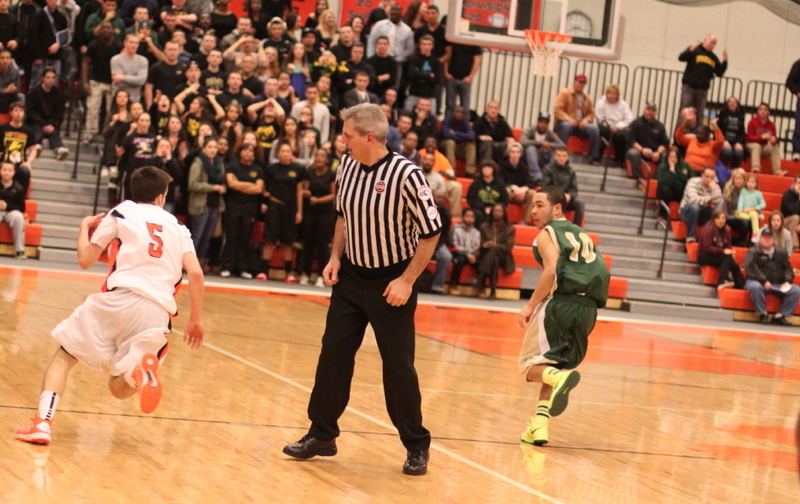 Then came squander #2 after Nick Cross gathered in the rebound as he threw the ball away over the Beverly bench. 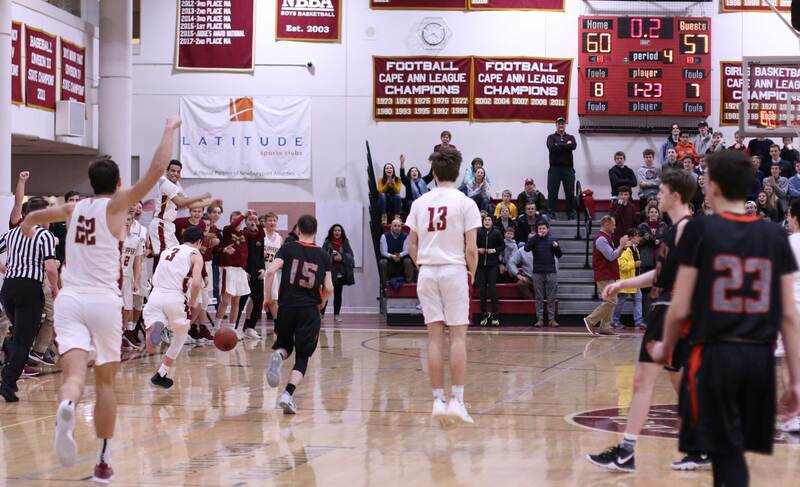 Jalen Brown (16 points) followed with two straight free throws with eighteen seconds left (65-60) and his brother Jordan added another free throw with nine seconds remaining to finish the scoring. 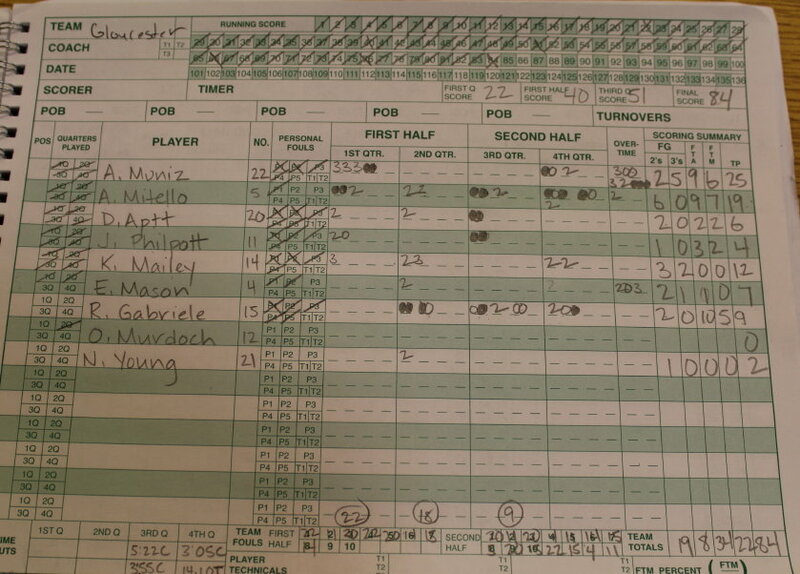 This was a game with ten lead changes. 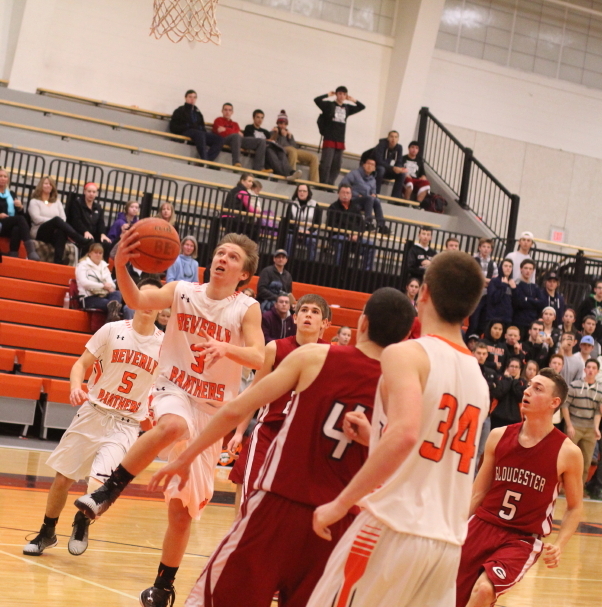 Beverly looked to be cooked in the third quarter when they fell behind, 47-36, with three minutes left. 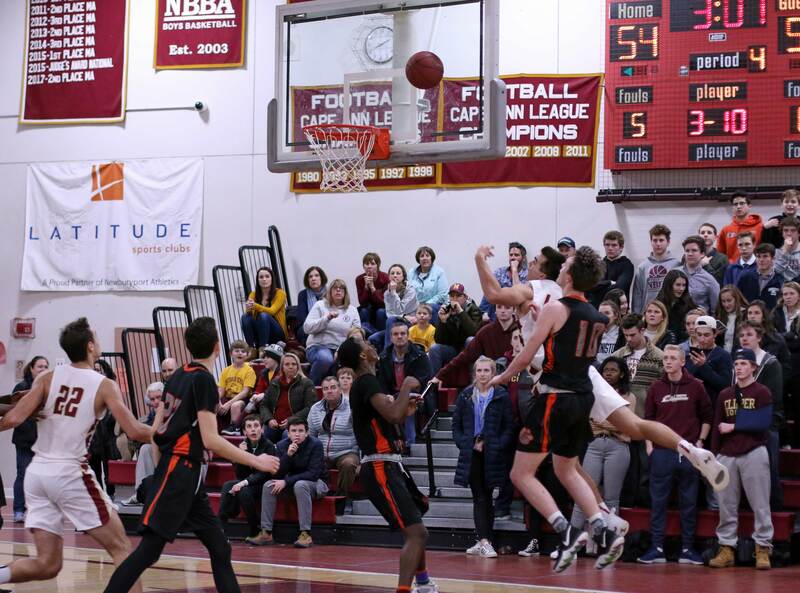 However, the #6 seeded Panthers finished the quarter with nine unanswered points and only trailed by two (47-45) after three periods. 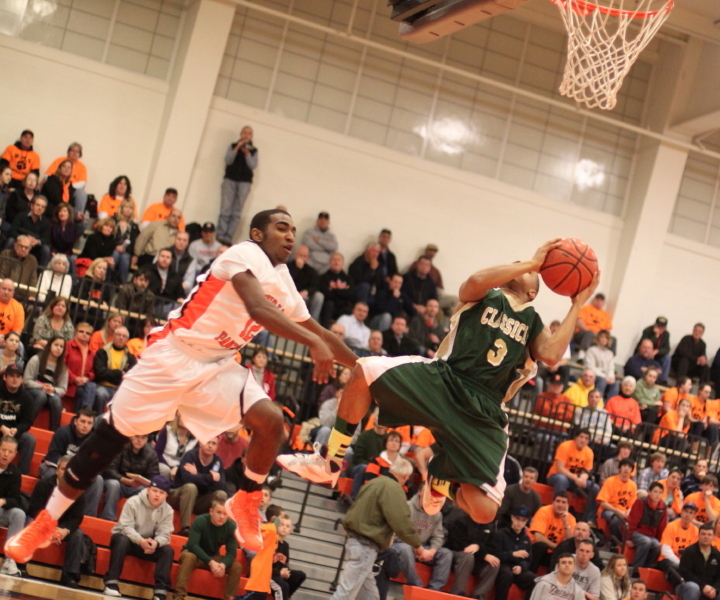 Nick Cross (22 points) had an old-fashioned three and a new-fashioned three in the run back for the home team. 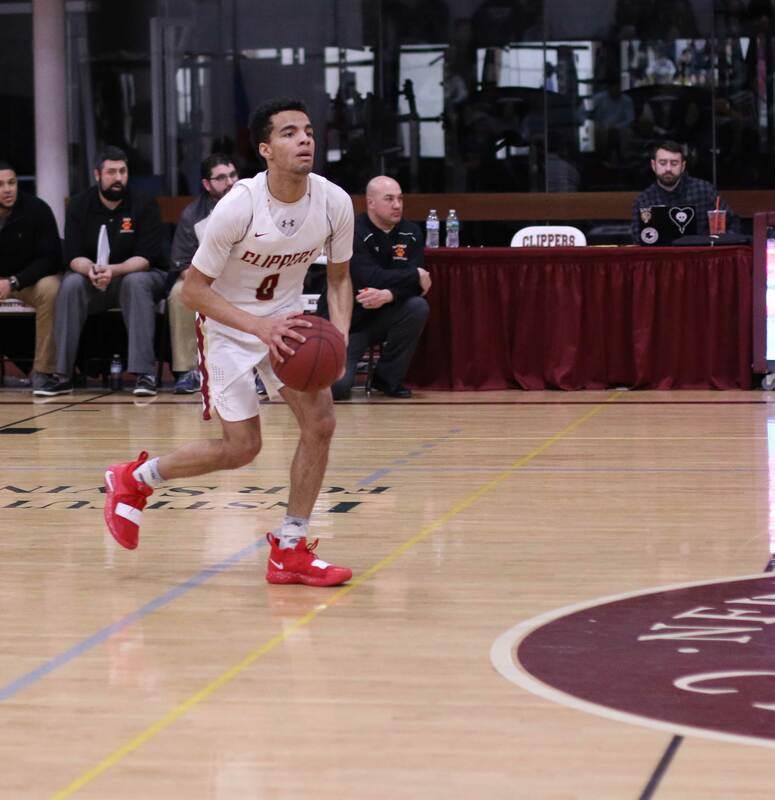 Eraldo Custodio (16 points) returned to the Rams’ lineup in the fourth quarter. 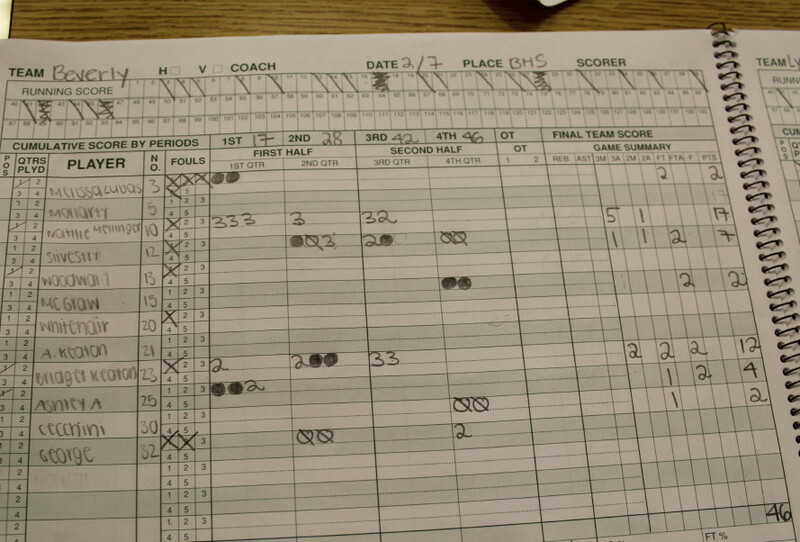 He sat out part of the third with three fouls. 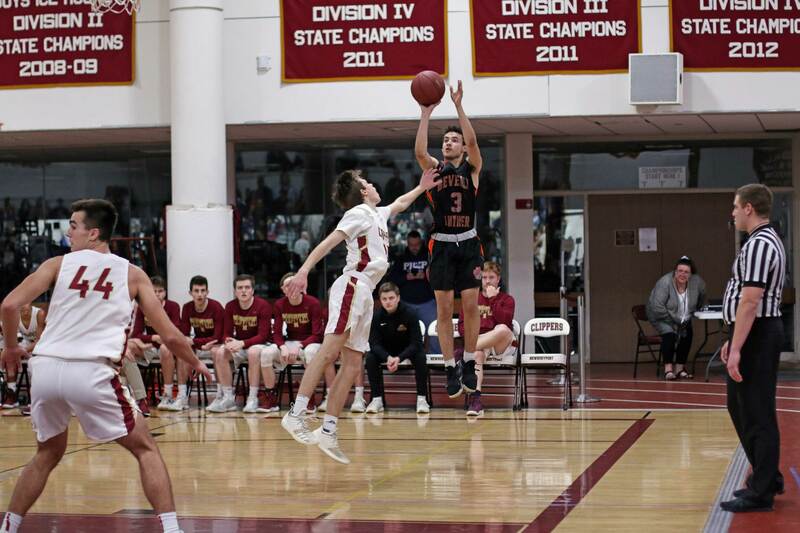 6-3 Eraldo made two fine moves to get open for points early in the 4th and enable LC to gain a 53-47 advantage with 6 ½ minutes remaining in the game. 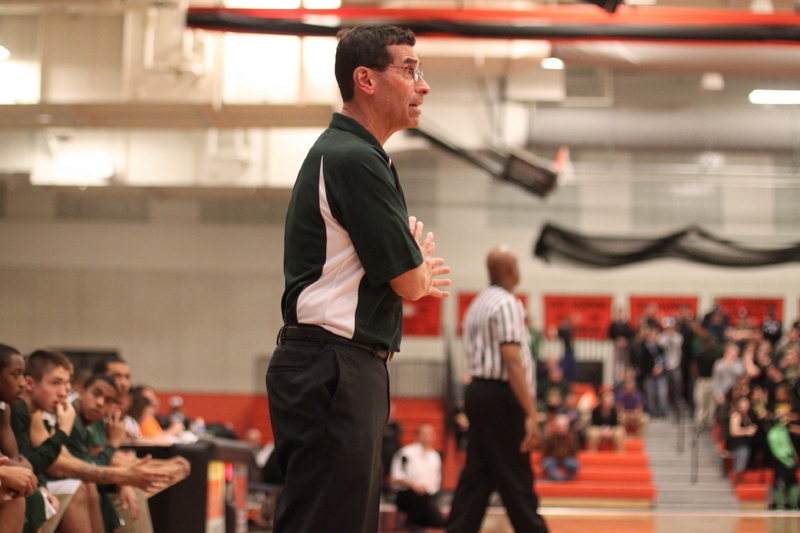 The next three minutes were a nightmare for Lynn Classical. They were held pointless. They turned the ball over five times. 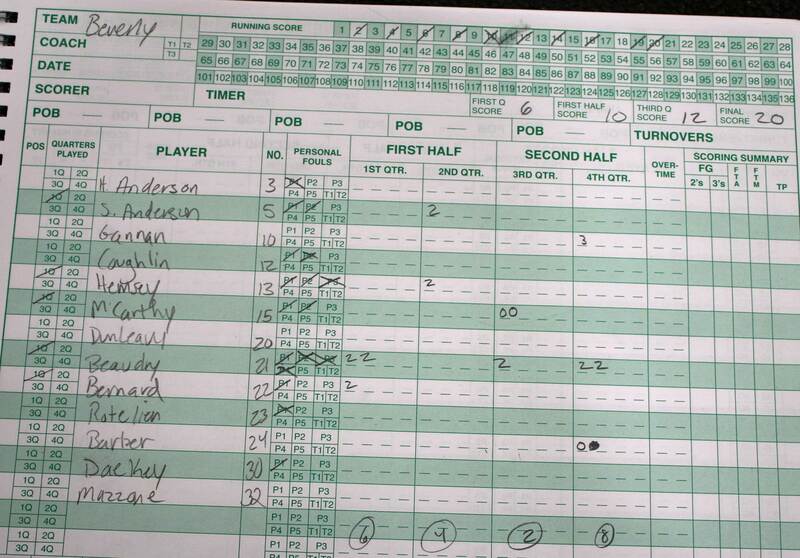 They gave up layups to Jon Berchoff and Chris Sinclair off the turnovers. 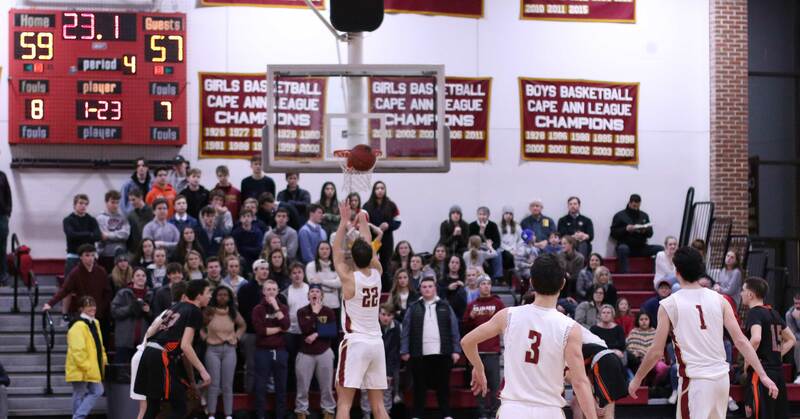 The total production for Beverly during this segment was eight unanswered points and it gave them the lead (55-53) with 3 ½ minutes left. 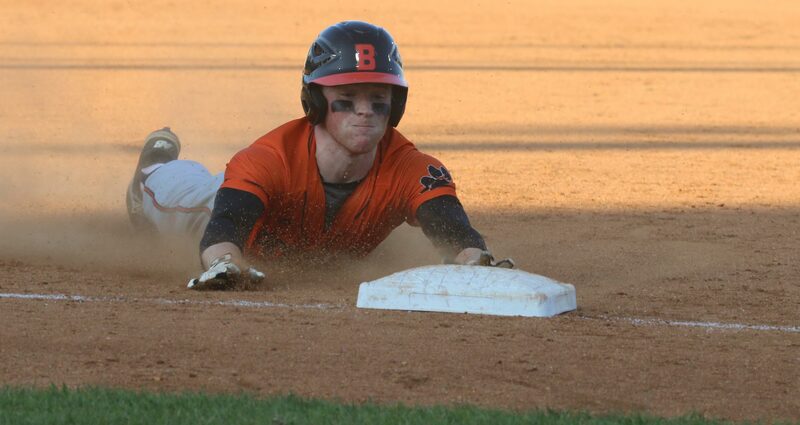 But back came the Rams with seven straight. 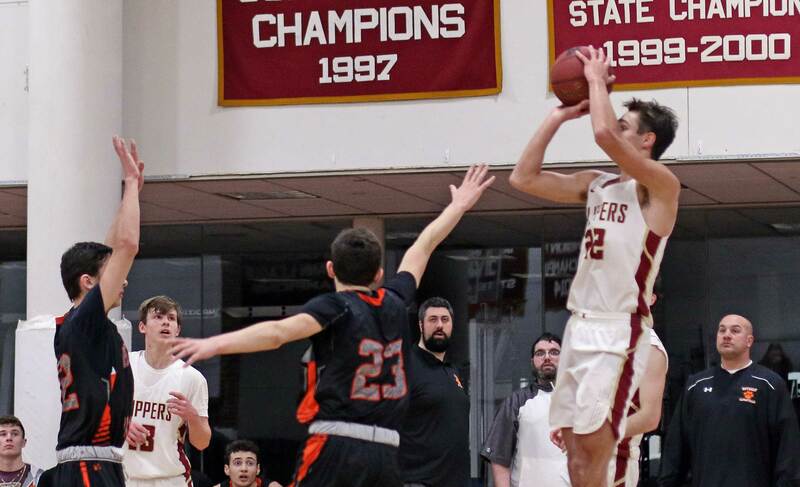 Two free throws by Phillip Rogers (12 points), another fancy move by Eraldo Custodio to get a layup, and a three by Jorge Perez (10 points) provided the LC points. 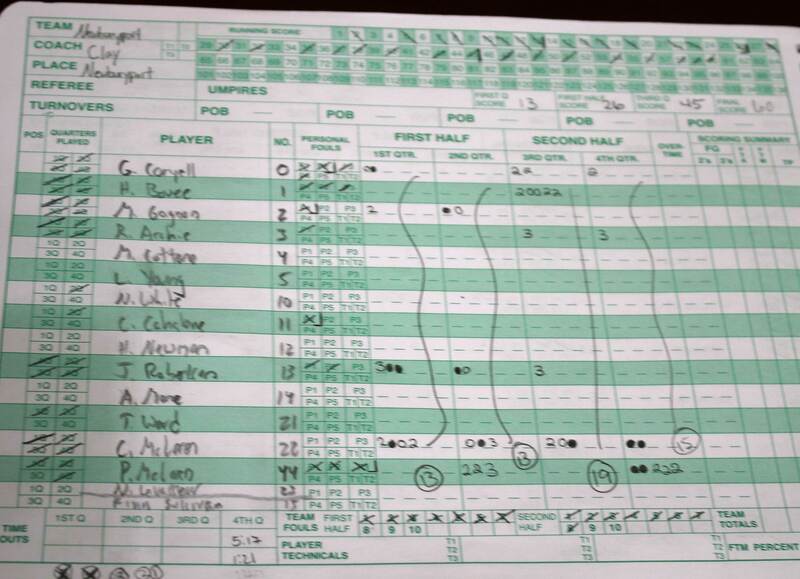 The Rams led, 60-55. 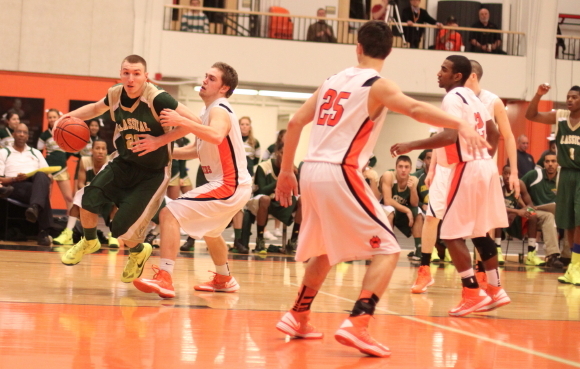 Chris Sinclair followed with a steal and layup for Beverly while Jorge Perez added two free throws. 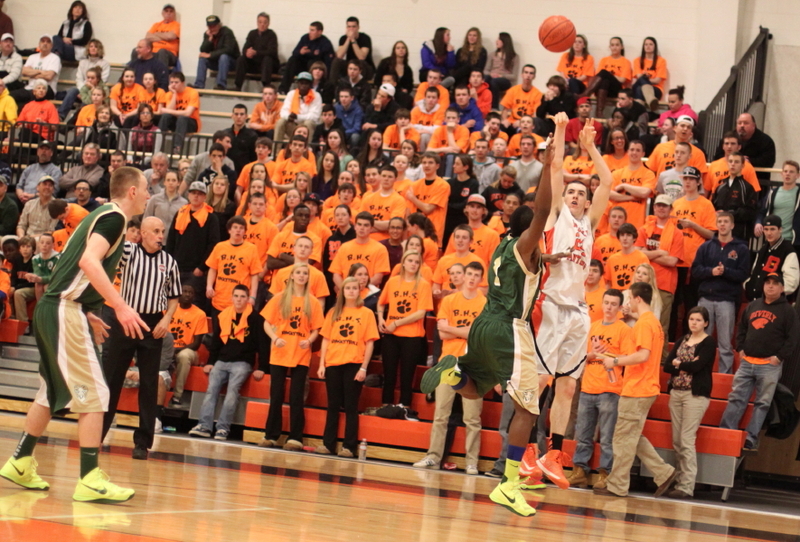 Then Cam Rogers ignited the crowd wearing orange with his three with thirty-two seconds left. 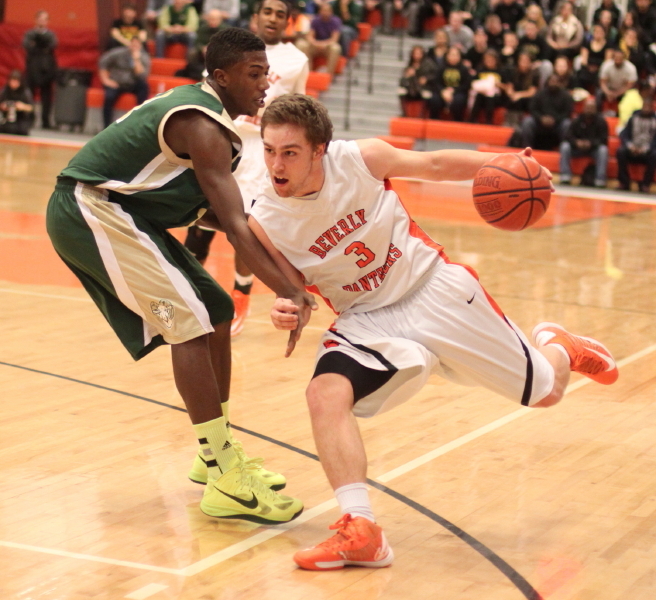 This was the best Beverly could do as the Rams survived the closing seconds to get to play some more basketball. 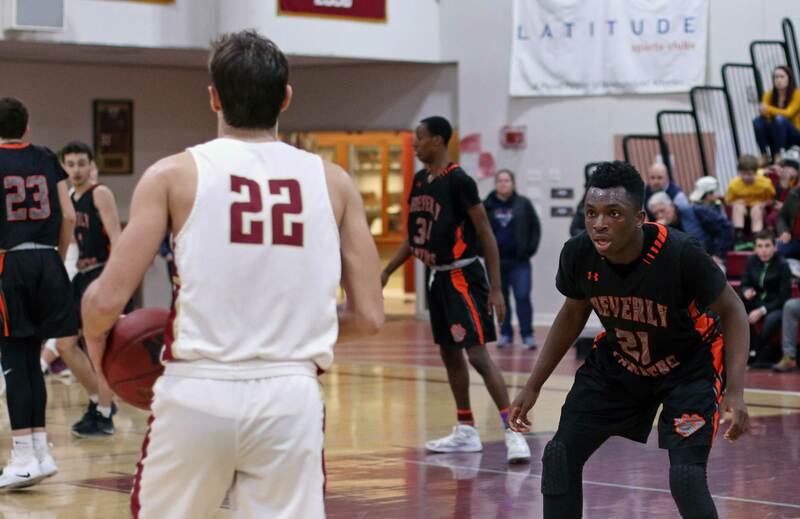 The Panthers had a 25-20 lead after three minutes of the second quarter but the Rams, led by Jalen Brown’s six points, put a 12-2 run together to close out that quarter and led, 32-27, at the half. 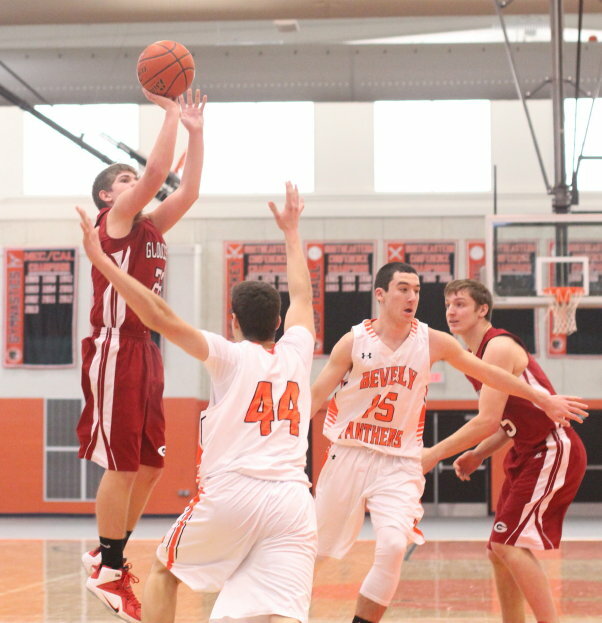 Lynn Classical had defeated Beverly, 66-45, earlier in February. 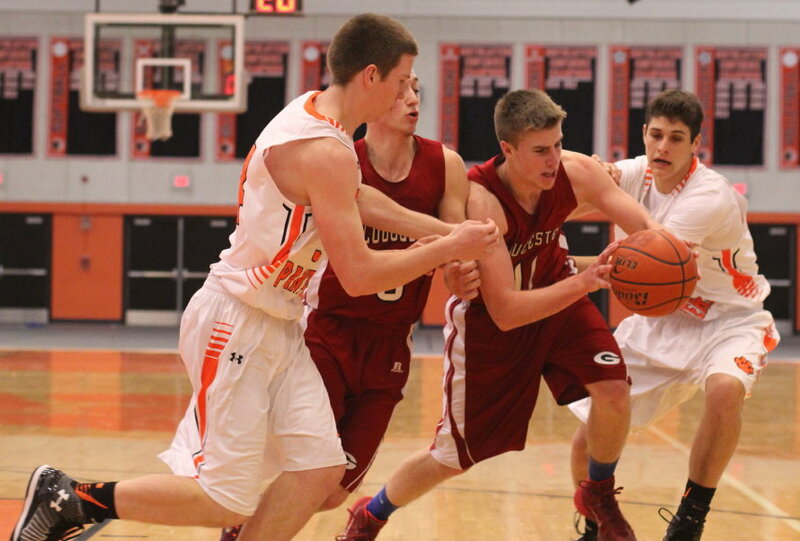 LC won despite twenty-four turnovers. 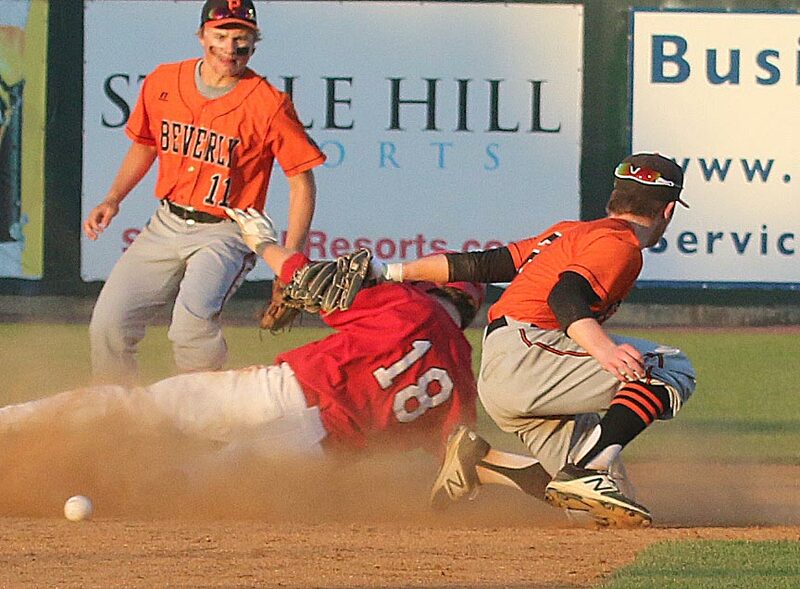 Beverly was quick to the ball and eager to turn miscues into points. 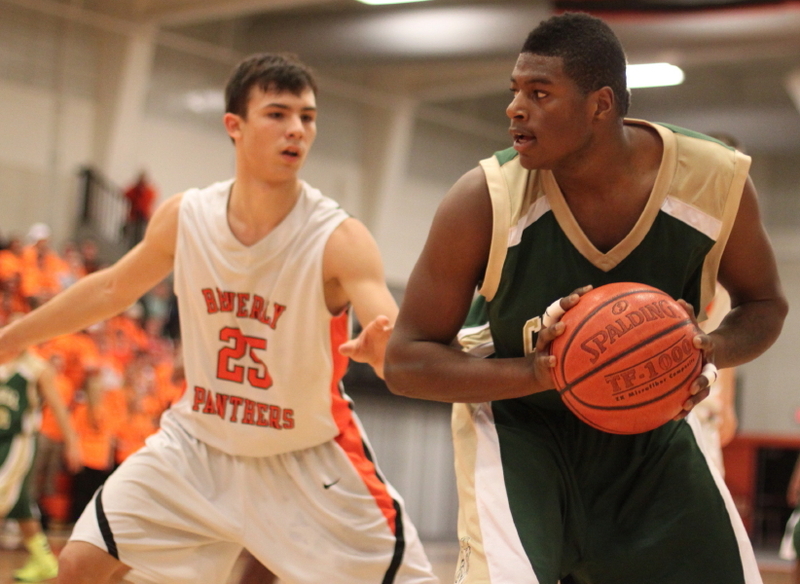 The Panthers struggled to contain both Eraldo Custodio and Jalen Brown. 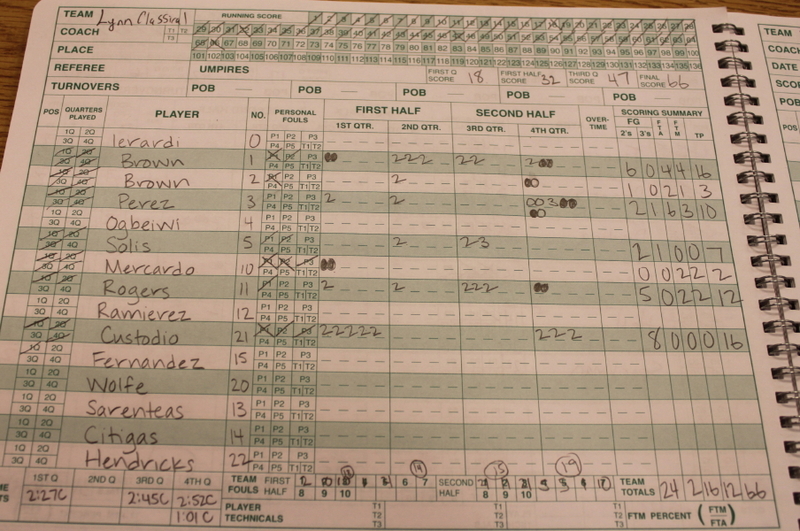 Eraldo had ten points in the first quarter. 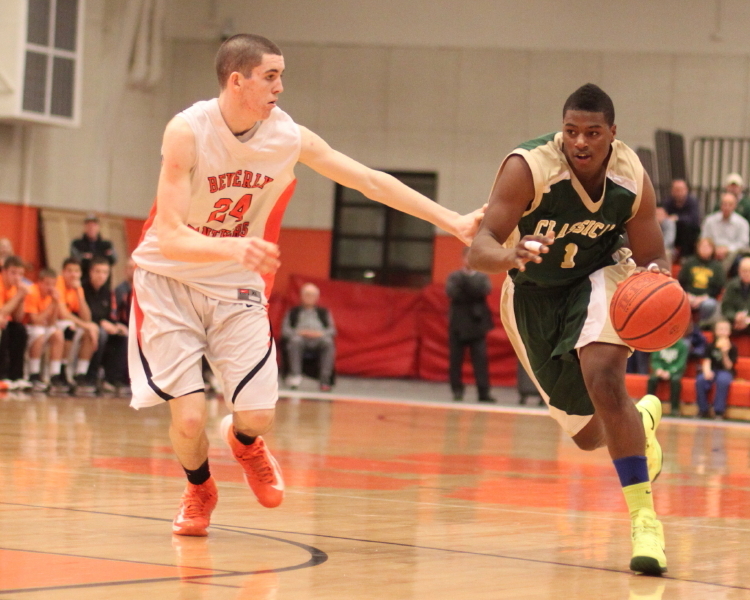 Nick Cross had nine points for the Panthers in the first quarter. 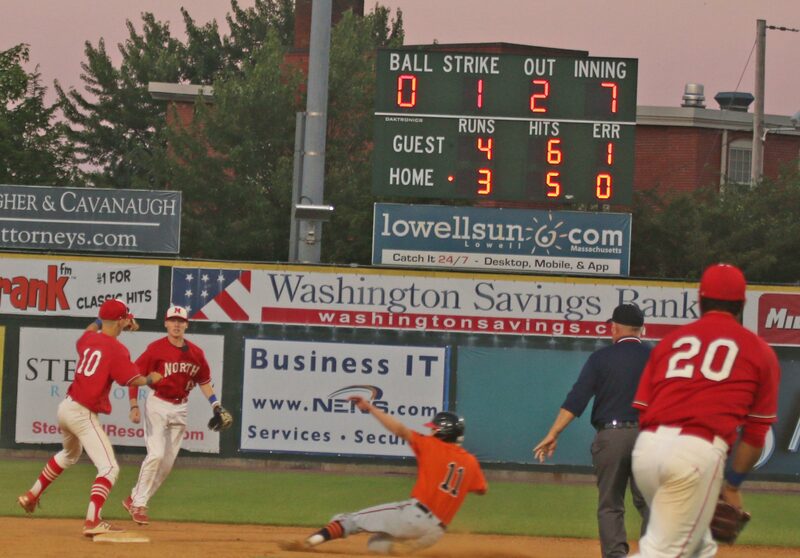 The #11 seed Rams have beaten both Salem and Lynn English twice.